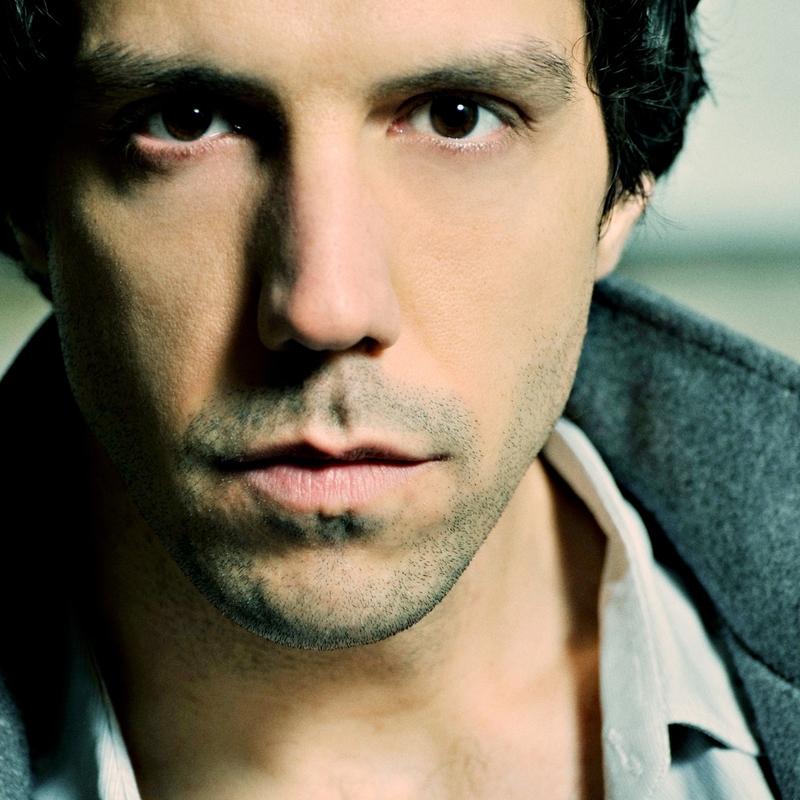 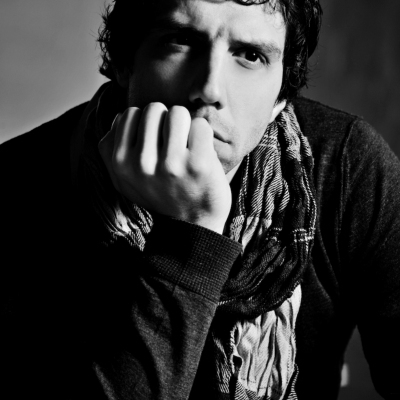 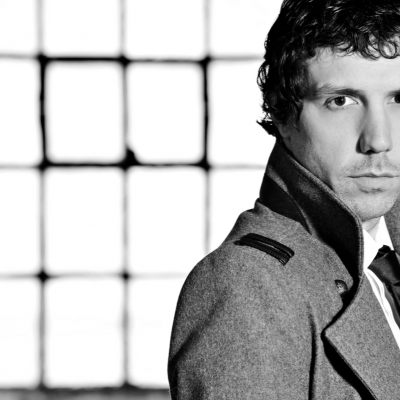 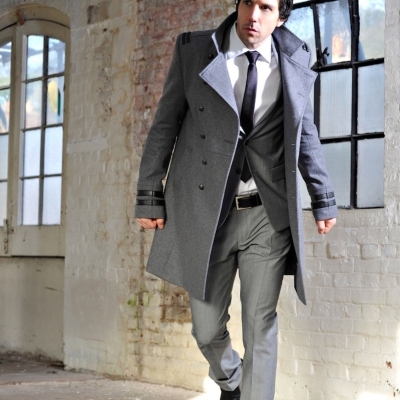 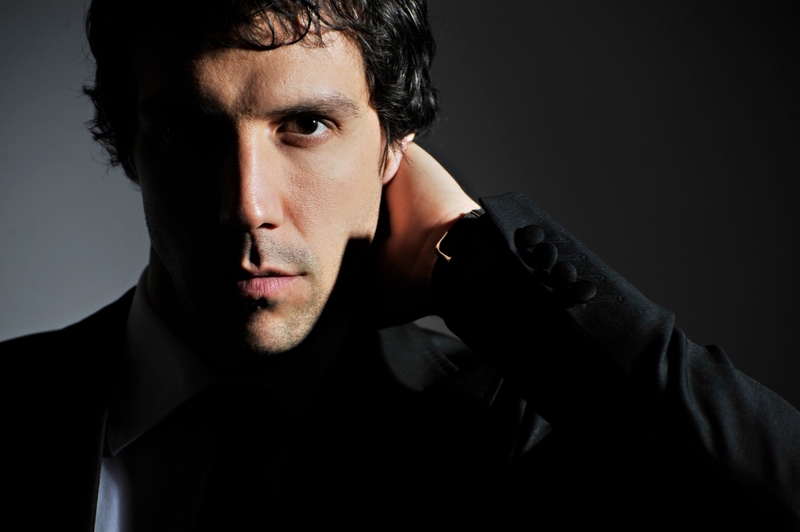 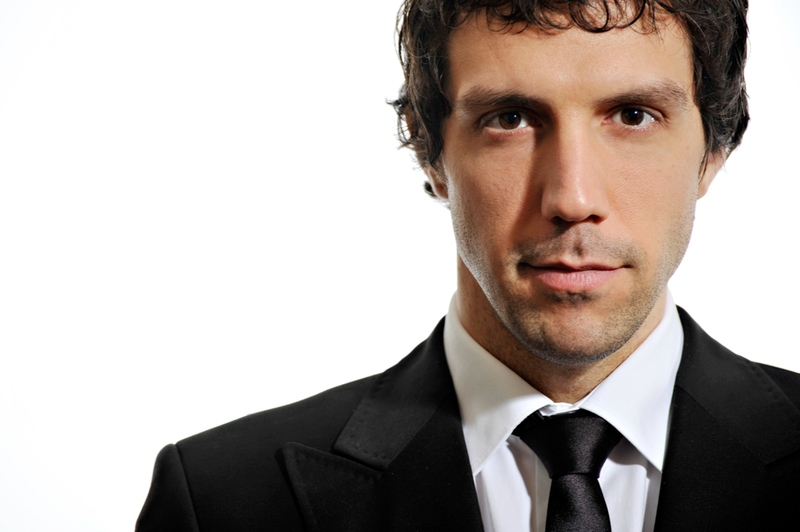 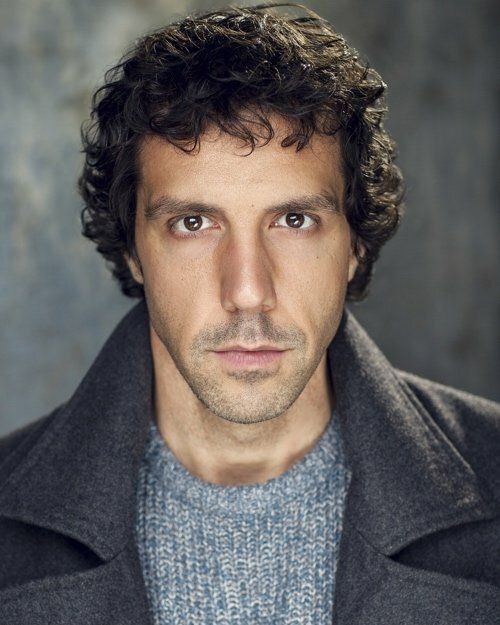 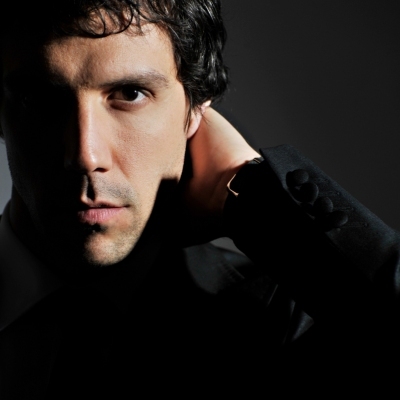 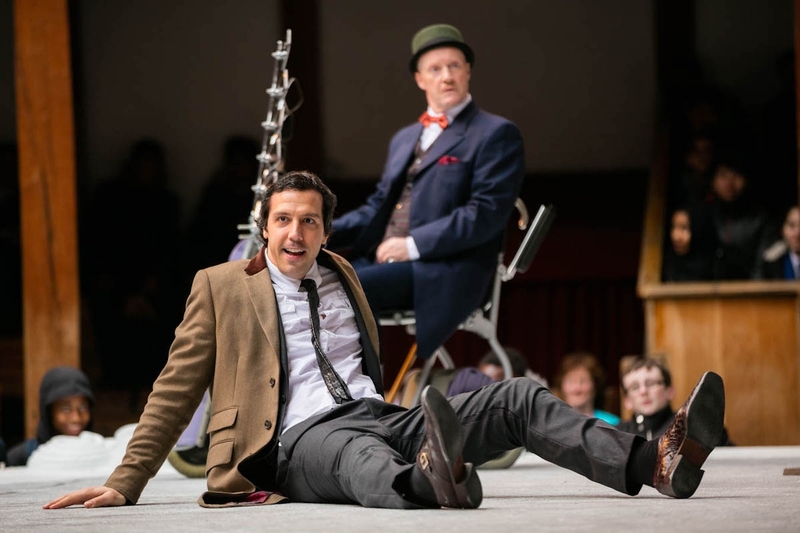 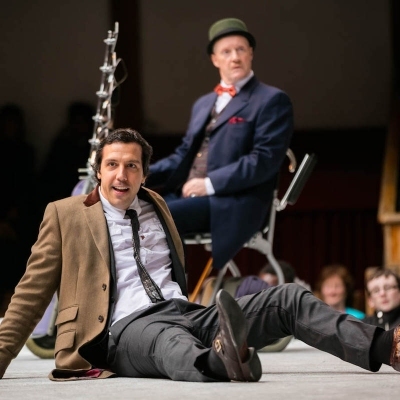 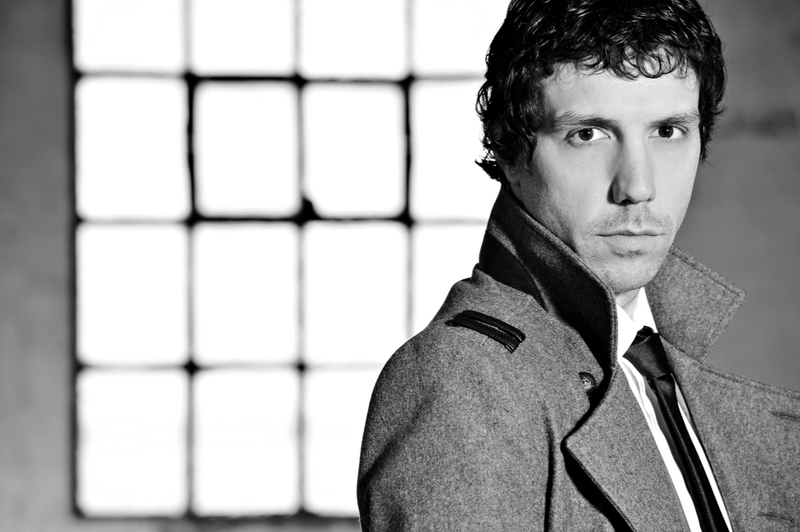 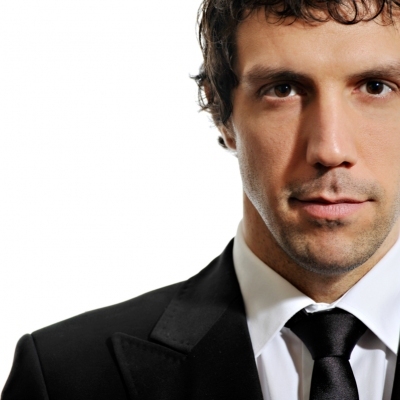 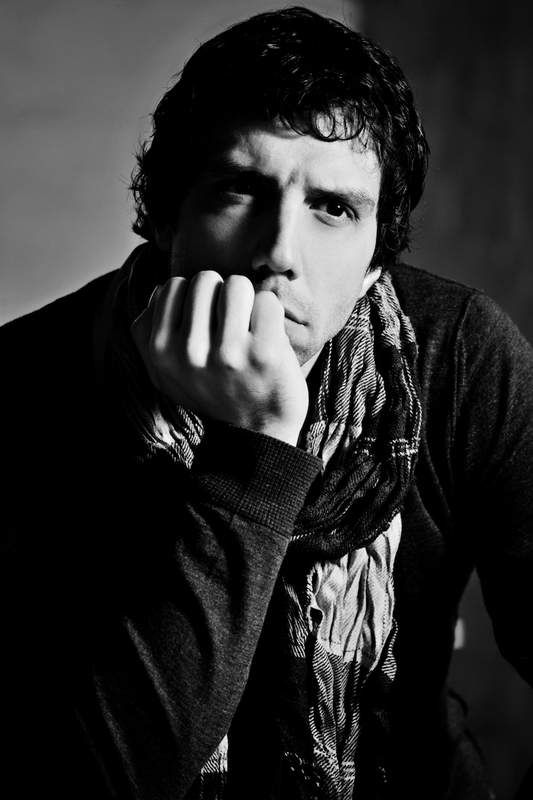 Canadian born actor and singer Alex Gaumond moved from Montreal to the UK in 1997 to study at the celebrated Guildford School of Acting where he achieved a 1st class BA (Hons). 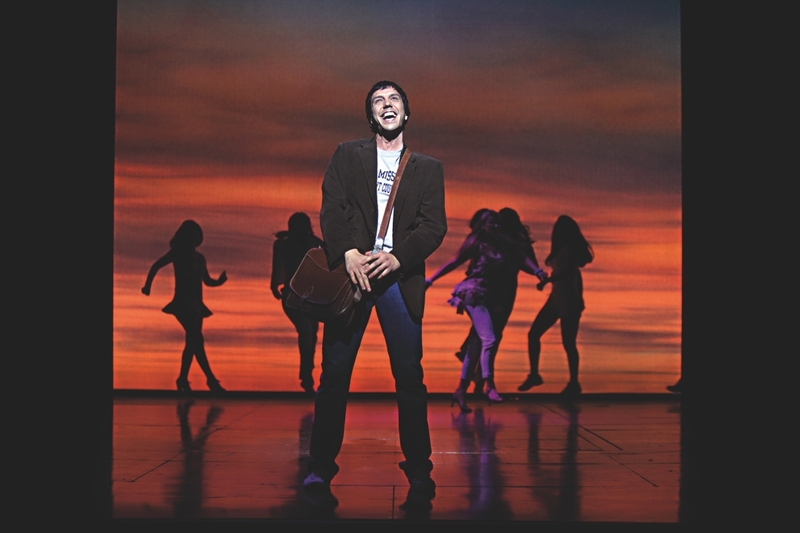 After completing his degree at GSA in 2000, Alex made his professional debut that very same year in the ensemble of Miss Saigon in the Philippines where he was flown half way across the world to feature in a show that is very close to the country’s heritage. 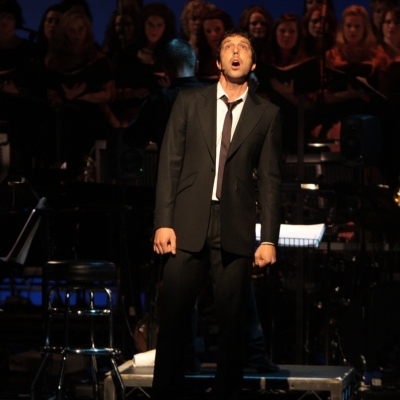 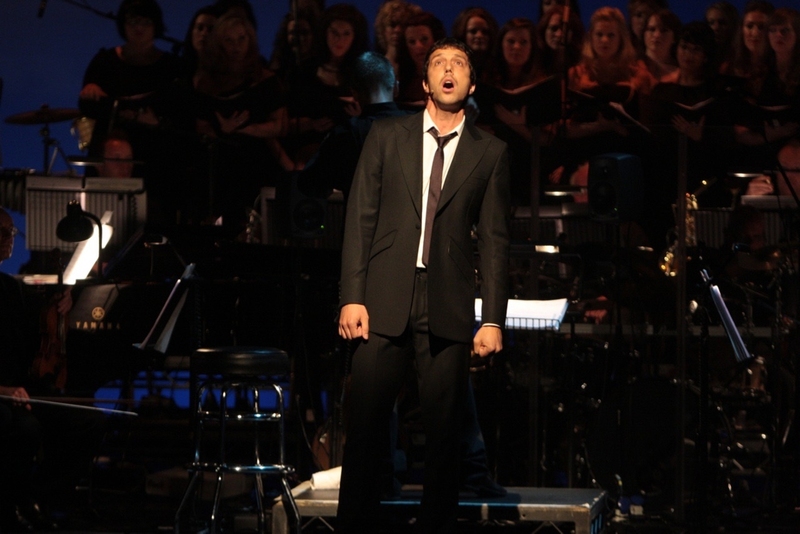 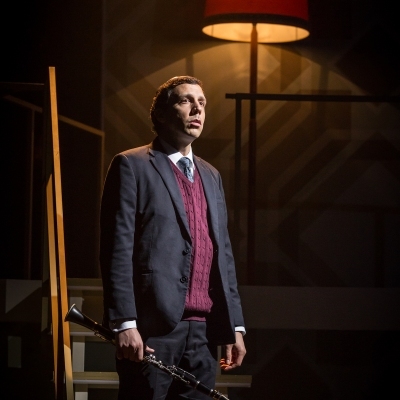 Alex also understudied the leading role of Chris in that production and went on to perform in the same musical in Hong Kong and Singapore in 2001. 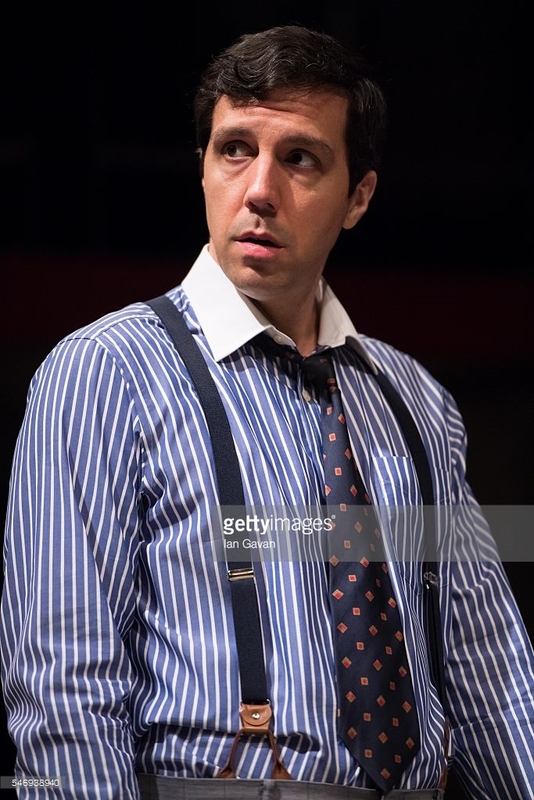 2002 saw Gaumond make his professional West End debut at the Prince Of Wales where he understudied the roles of Malcolm, Jerry and Ethan in The Full Monty. 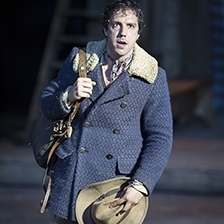 After completing this Gaumond then played the character of Malcolm in the national tour of The Full Monty in 2004, which marked his first leading role. 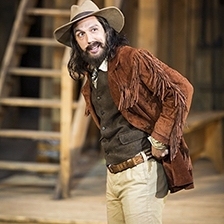 Between 2002 and 2009 Gaumond made a number of appearances in a variety of UK national tours and London shows, particularly noteworthy performances include Guys And Dolls (Donmar Warehouse production), Desperately Seeking Susan, Sunday In The Park With George (5 times Olivier Award winning production) and Scrooge where he played the role of Tom Jenkins at the London Palladium and recorded a cast album with arguably Britain’s first teen idol and rock star, Tommy Steele. 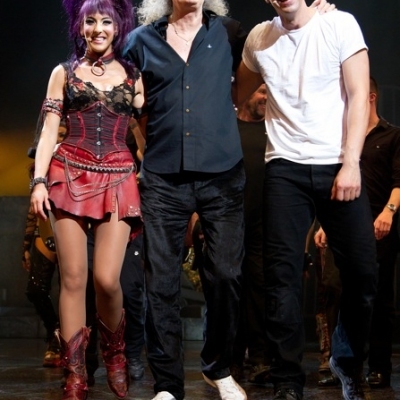 In 2009 his career took to new levels when he was cast by Ben Elton, Brian May and Roger Taylor to play the lead role of Galileo in their acclaimed musical We Will Rock You. 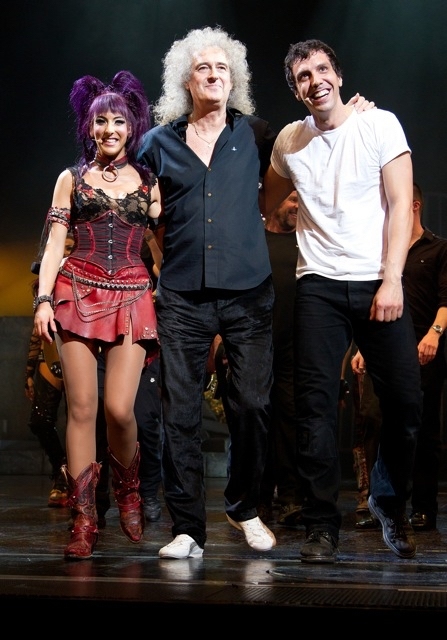 The stage adaptation of songs taken from infamous British band Queen began life at the Dominion Theatre in the West End in 2002 and became the longest running musical at the Dominion, and in 2009 the show was taken on a UK tour for the first time with Gaumond performing 7 shows a week for 7 months, playing at the Palace Theatre in Manchester, the Sunderland Empire, the Birmingham Hippodrome and the Bristol Hippodrome. 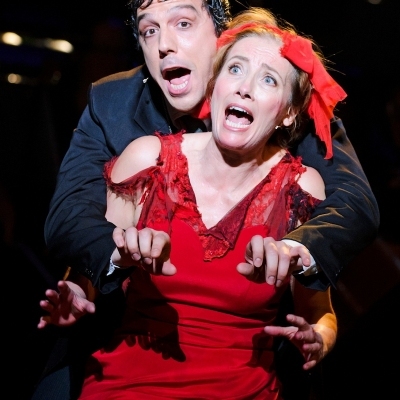 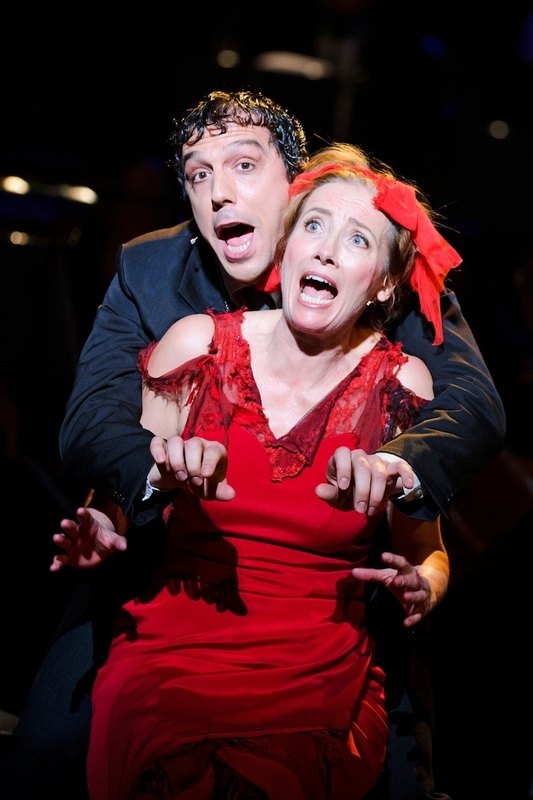 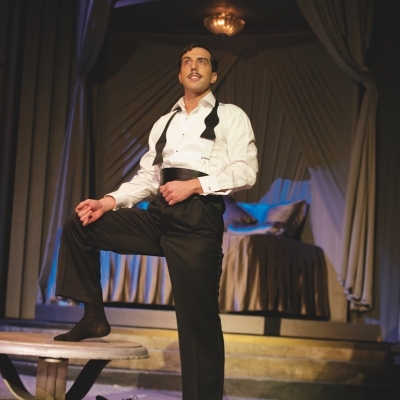 In 2009 Gaumond learned of his success with another musical which was to debut at the Savoy Theatre in London in January 2010. 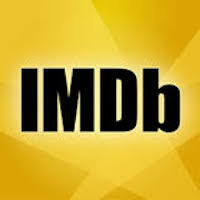 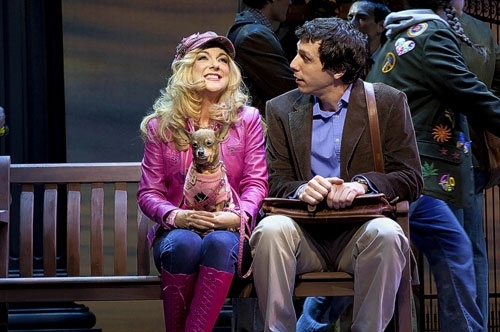 He had been cast to play the male lead (Emmett) in the original UK production of the stage adaptation of Legally Blonde. 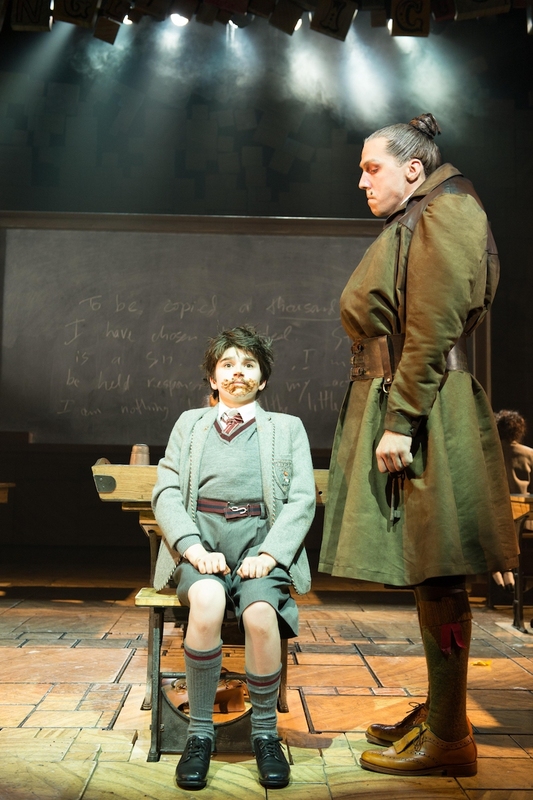 This exciting character provided Alex with a freshly written role for theatre that had been superbly crafted by the writers and brilliantly moulded by Alex so that he made the role his own. 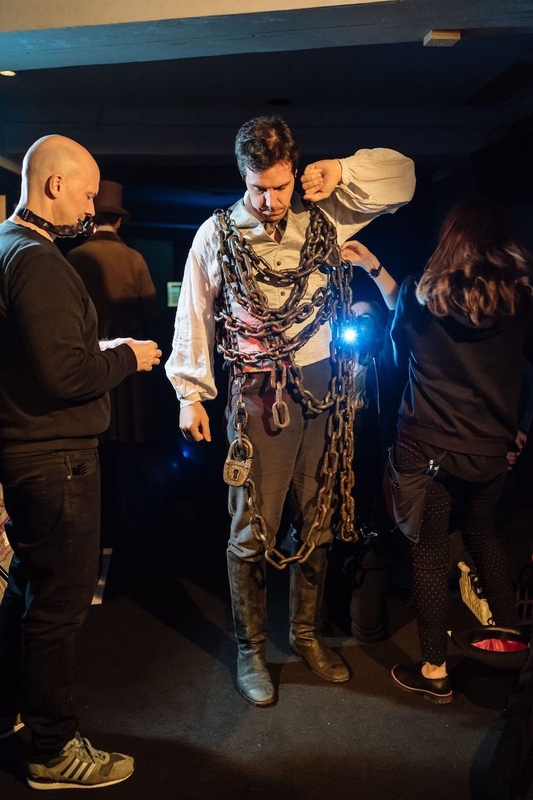 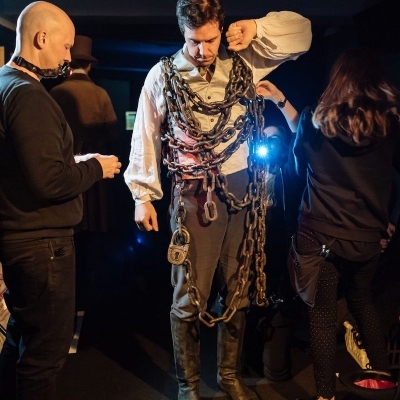 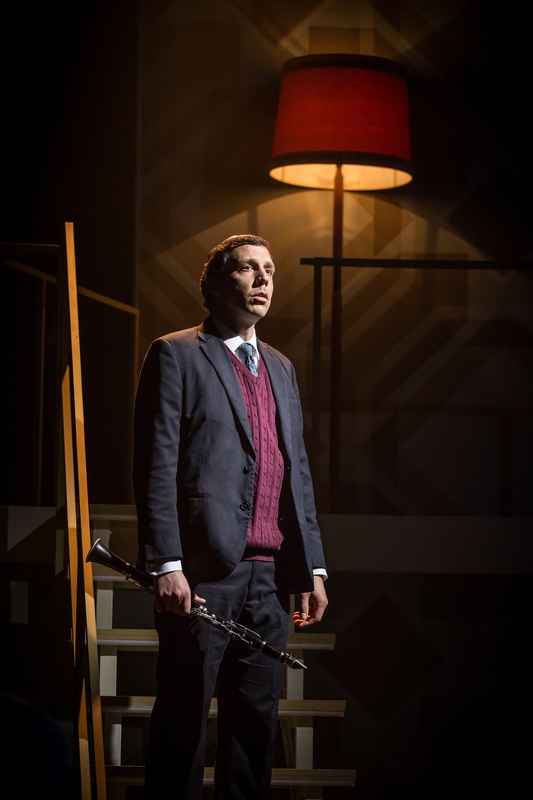 His work in the show earned him a nomination for 'Best Actor in a Musical' at the WhatsOnStage Awards and the prestigious Olivier Awards in 2011. 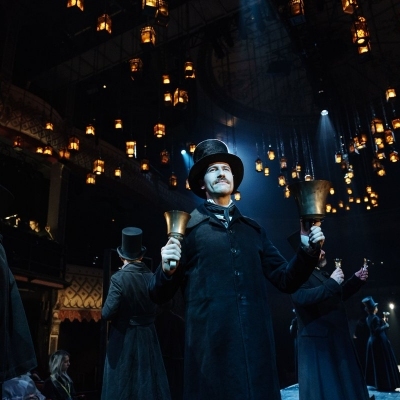 The production itself received critical acclaim and went on to win 'Best Musical' in all the major awards that year. 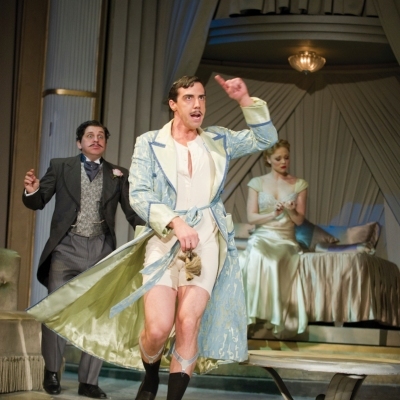 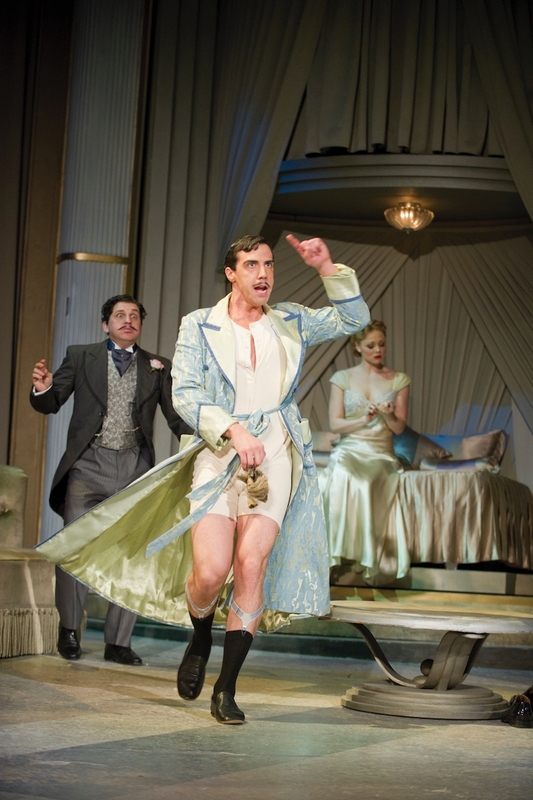 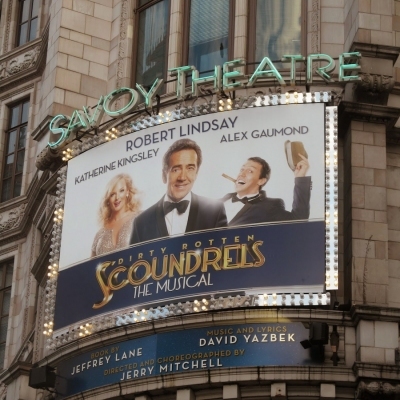 An album of the Original London Cast, featuring Alex, was recorded live under the reputed theatre label First Night Records. 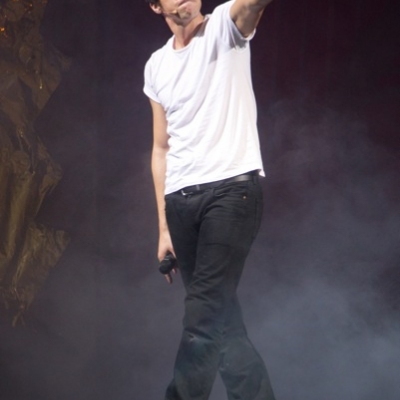 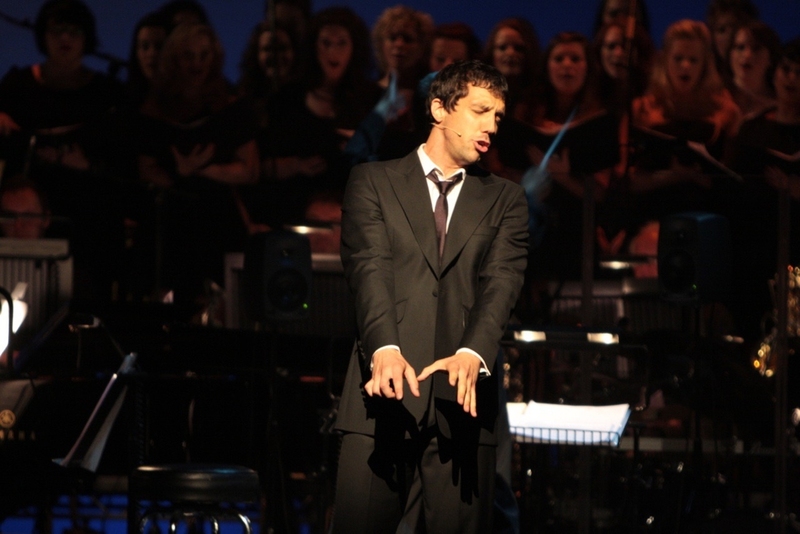 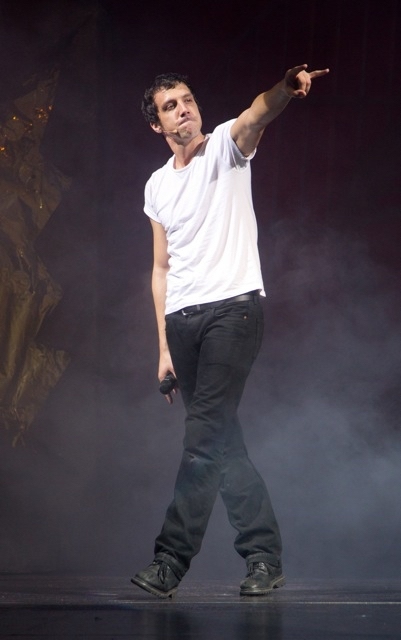 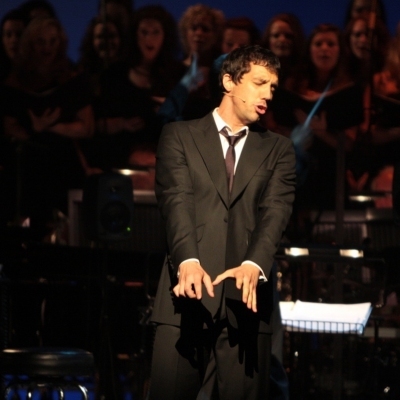 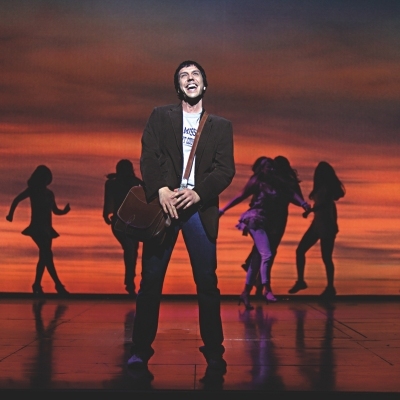 Following his highly acclaimed run of almost two years in Legally Blonde, Alex made a return to We Will Rock You, this time at the Dominion Theatre (winner of the Olivier Audience Award 2011 for best long-running show), in which he starred for 6 months and was nominated for a WhatsOnStage Award 2012 for 'Best Takeover in a Role'. 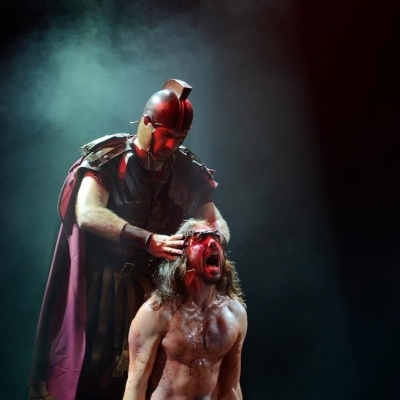 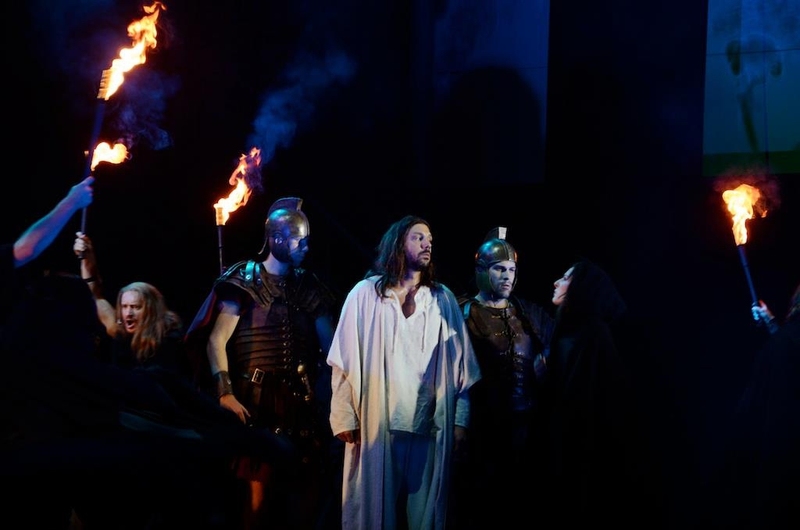 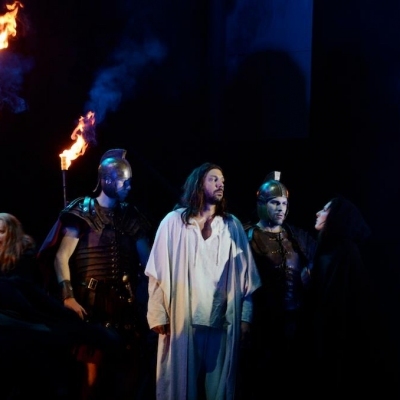 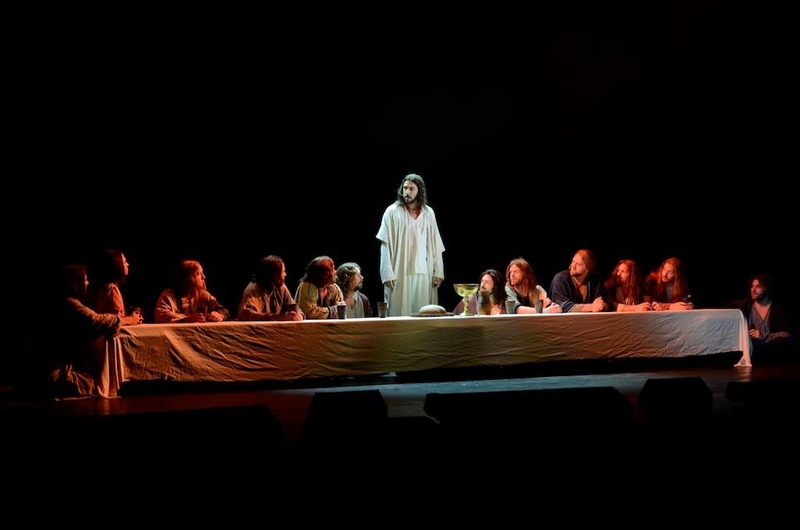 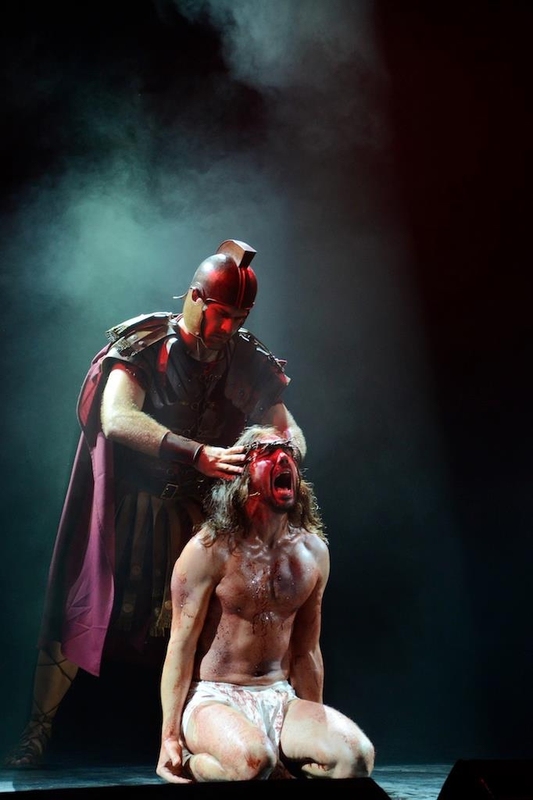 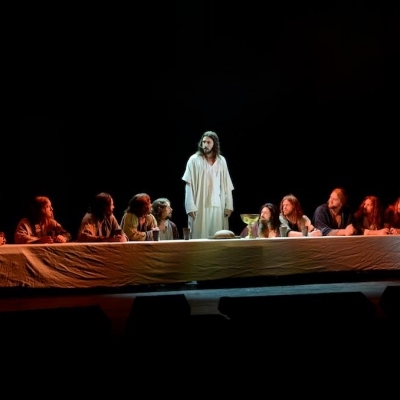 In 2012 Alex starred as Jesus in a new production of Jesus Christ Superstar for Ljubljana Festival in Slovenia and released his first single, Here I Am (available worldwide from most download sites), which he launched with a performance at West End Live in Trafalgar Square in front of 20,000 people, as one of only three recording artists invited to perform their solo material amongst all the West End shows featured in the programme. 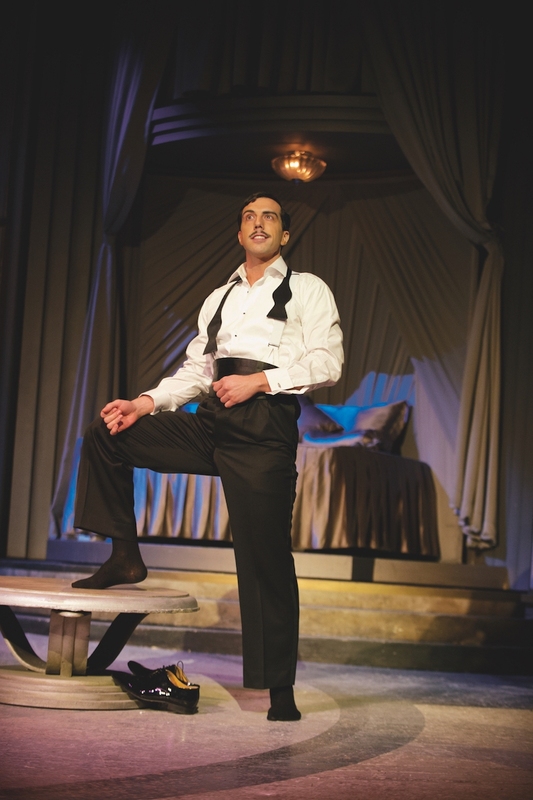 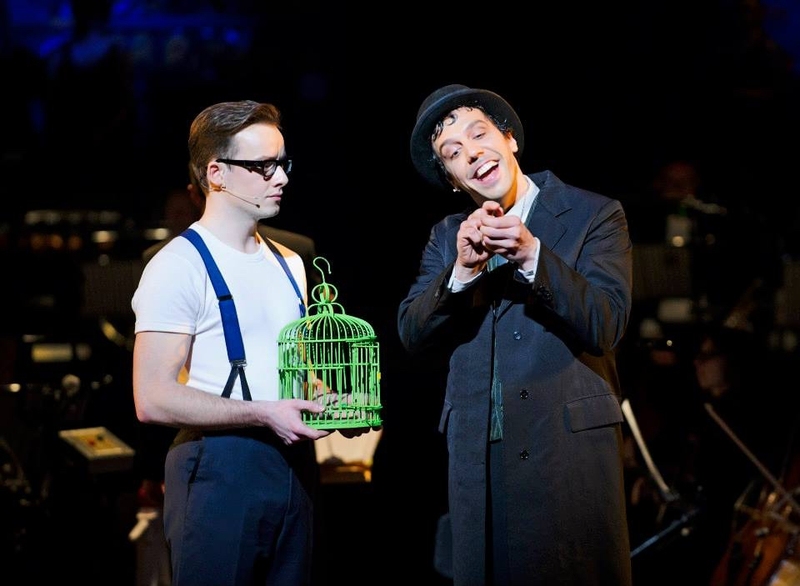 In 2013 he played Alberto Beddini in Top Hat at the Aldwych Theatre. 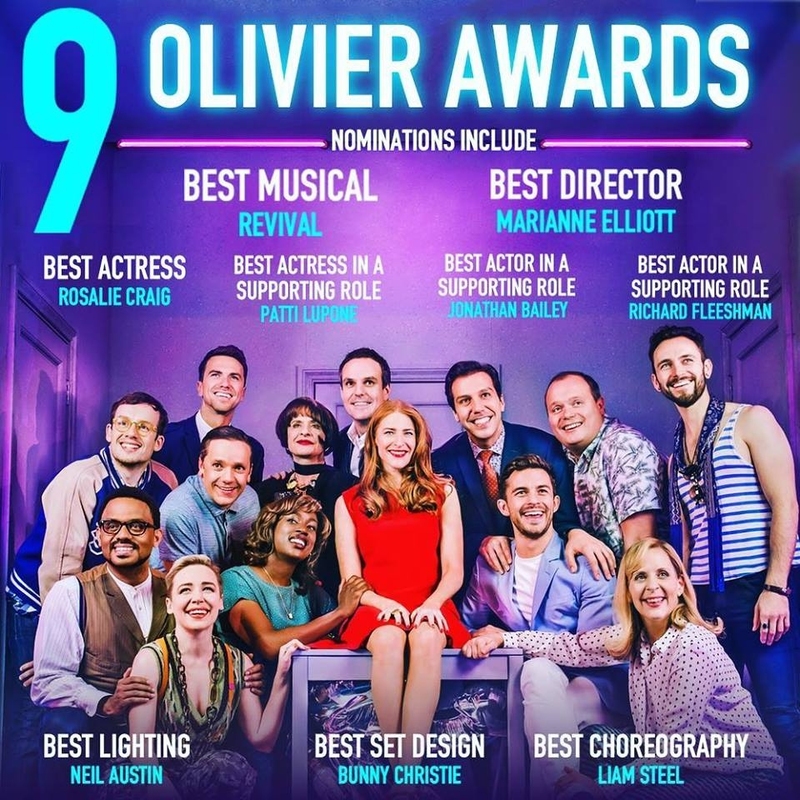 Whilst in the show, he attended the Olivier Awards, which saw the production win for 'Best New Musical', 'Best Choreography' and 'Best Costume Design'. 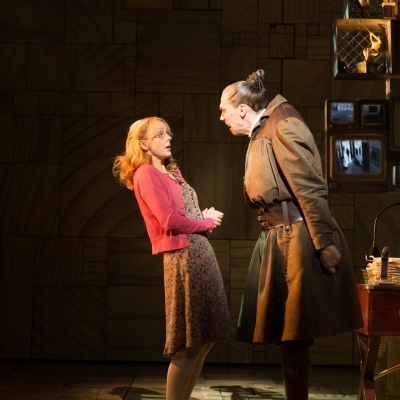 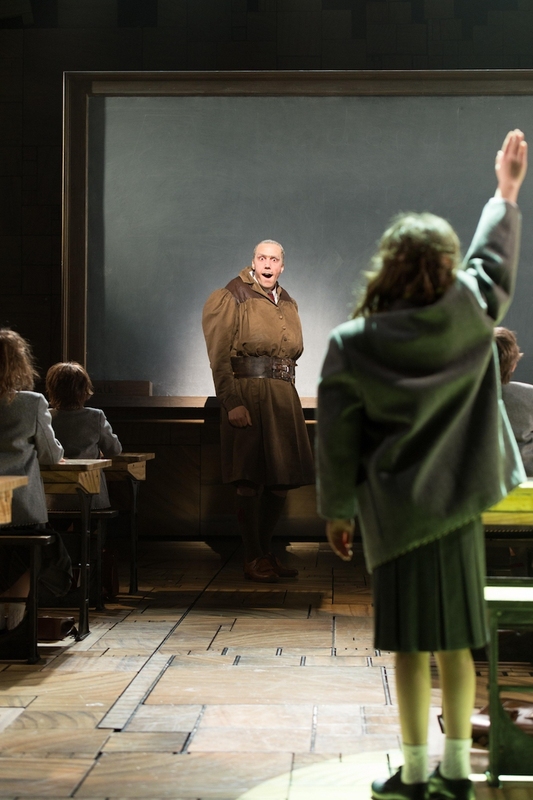 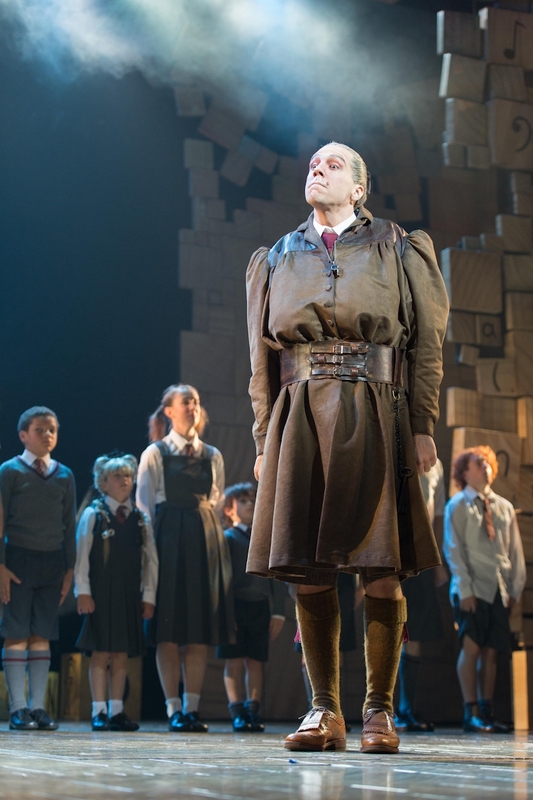 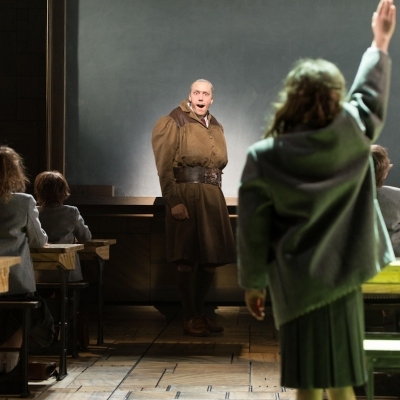 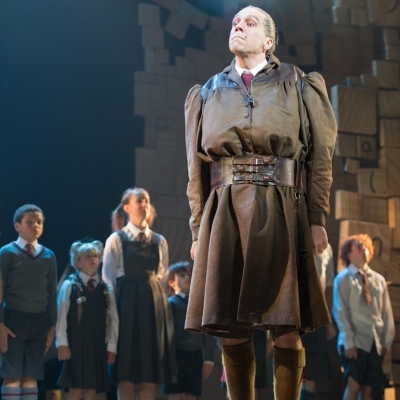 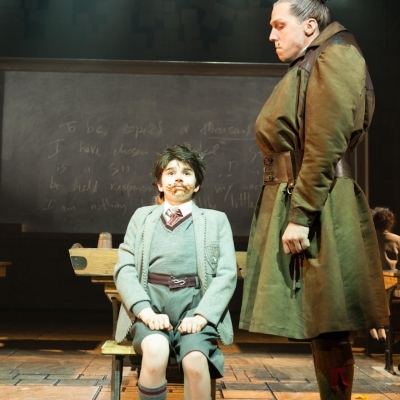 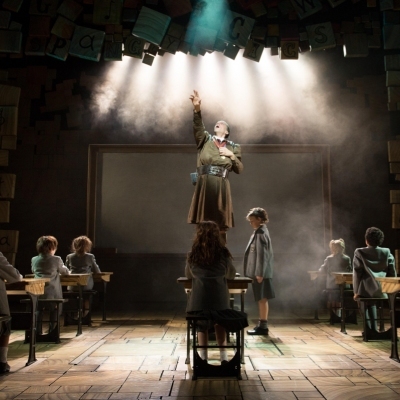 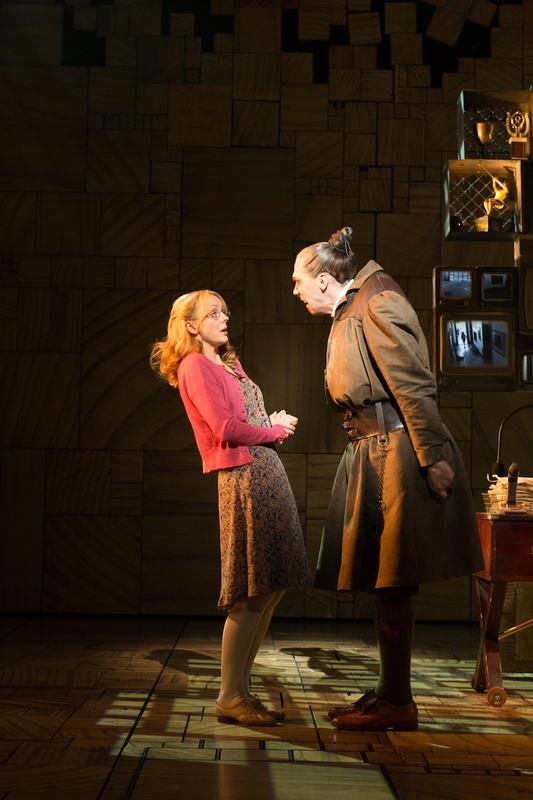 From September 2013 to September 2014, Alex starred in the Royal Shakespeare Company's multi award winning production of Matilda at the Cambridge Theatre, playing the iconic role of headmistress Miss Trunchbull. 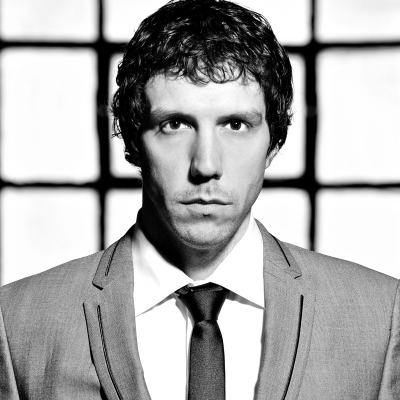 During his time on the show, Alex made many TV appearances including BBC's Children in Need and The Paul O'Grady Show on ITV, where he performed a specially conceived sketch with the show's host and guests. 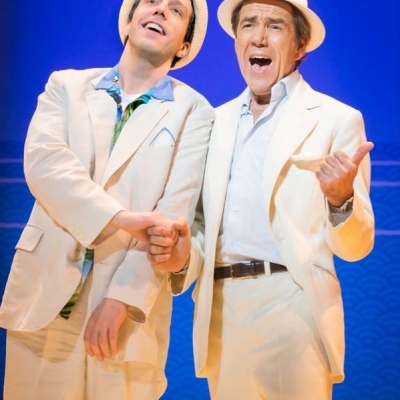 In November 2014, Alex joined the cast of Dirty Rotten Scoundrels at the Savoy Theatre, replacing Rufus Hound in the role of Freddy Benson, the iconic conman portrayed by Steve Martin in the original movie version. 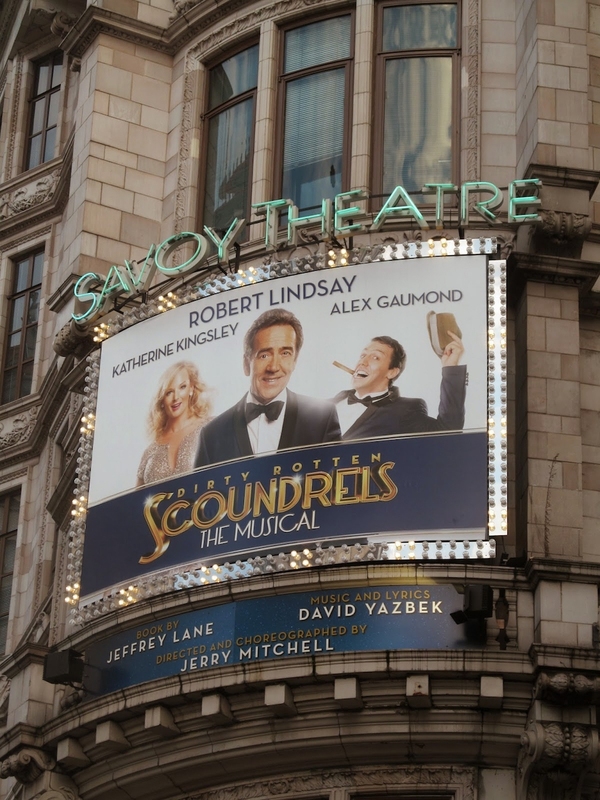 Alex starred opposite Robert Lindsay at the Savoy Theatre and played the role until the production closed in the West End on 7 March 2015. 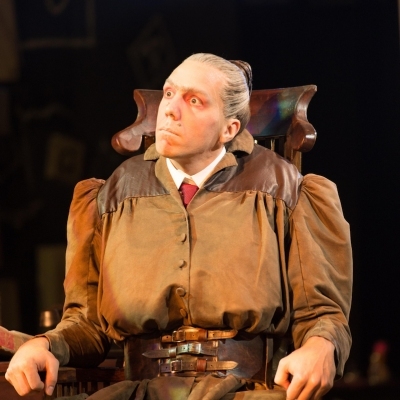 Immediately following this, Alex played the role of Beadle Bamford in English National Opera's production of Sweeney Todd at the London Coliseum, opposite opera star Bryn Terfel and movie star Emma Thompson, from 30 March to 12 April 2015. 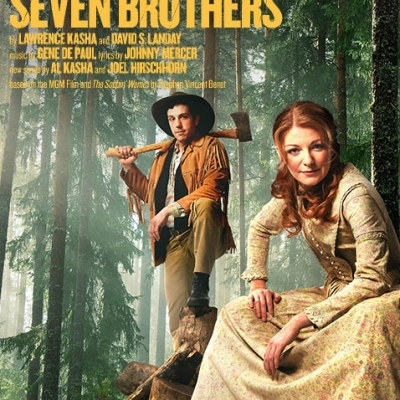 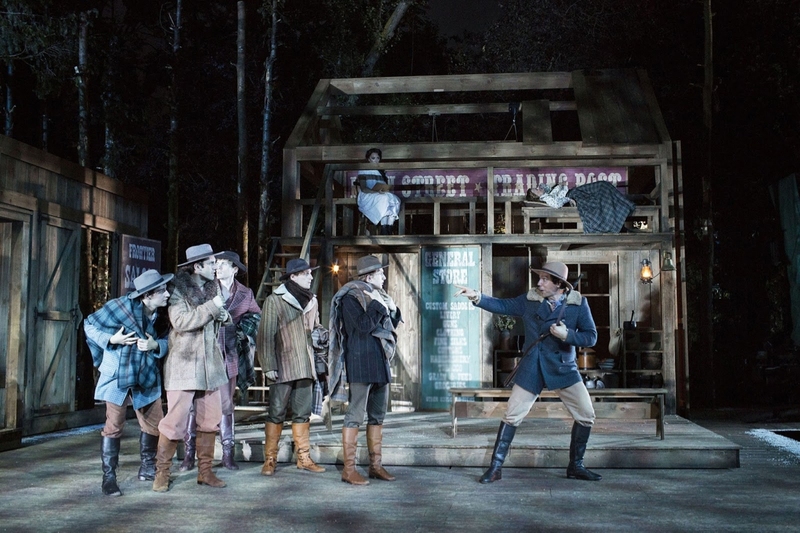 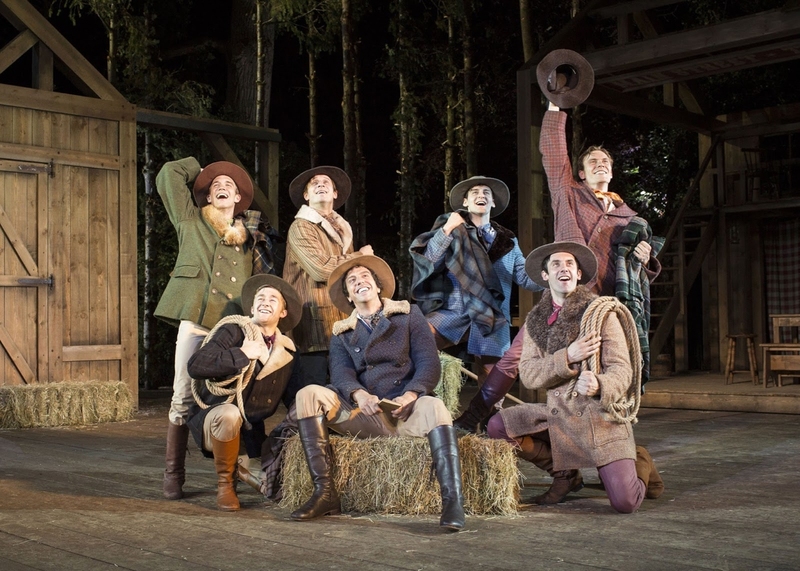 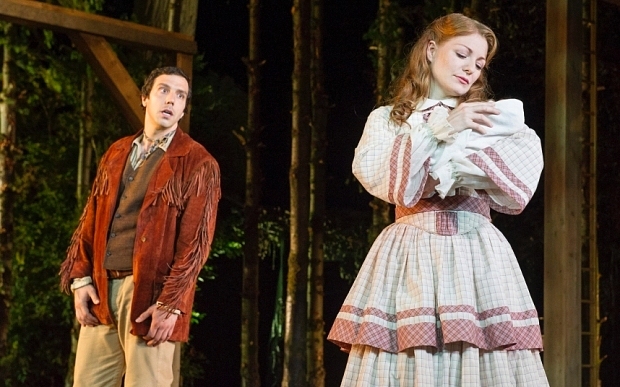 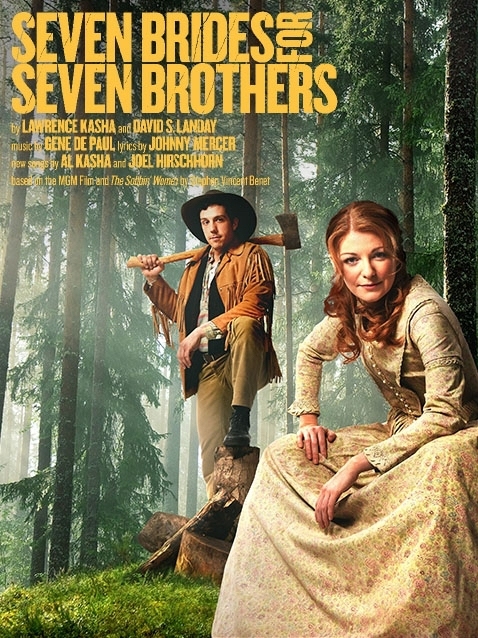 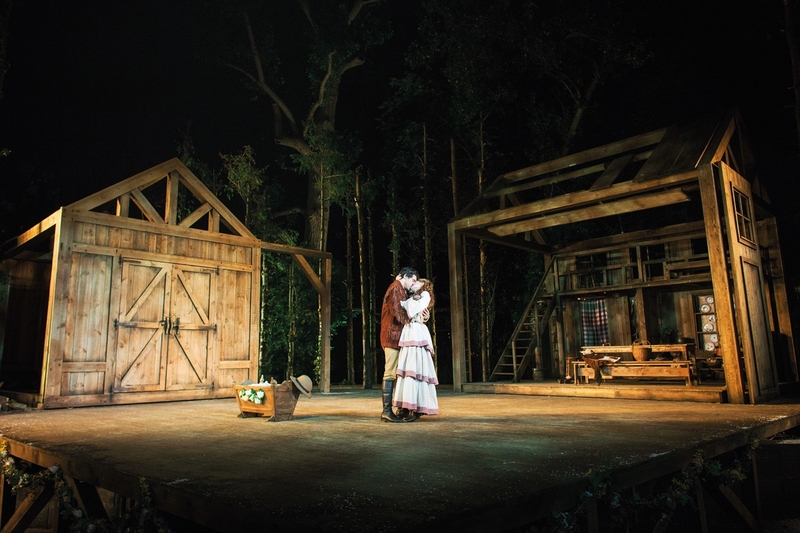 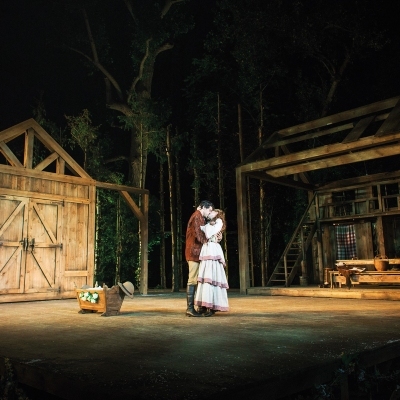 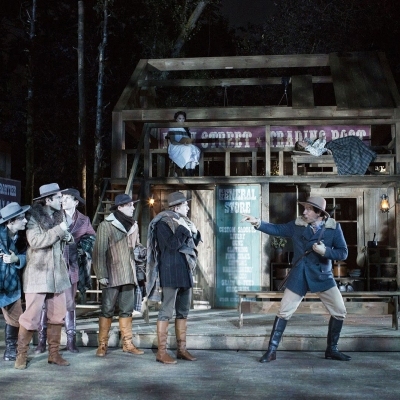 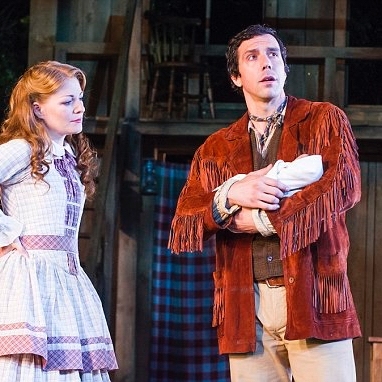 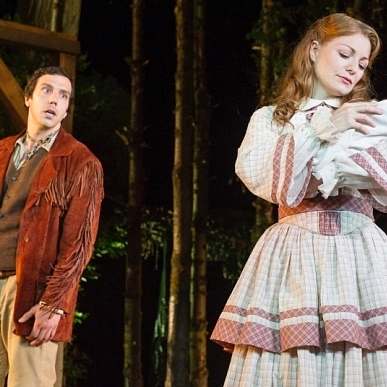 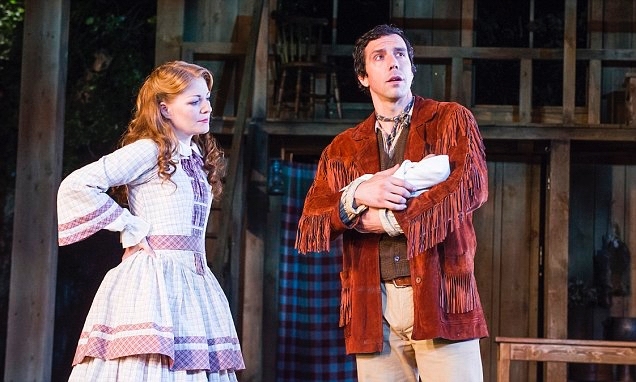 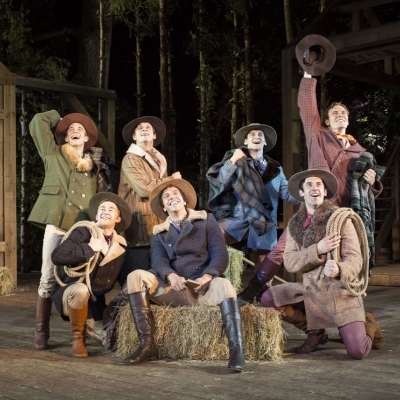 Soon after this, Alex starred as Adam Pontipee in Seven Brides for Seven Brothers at Regent's Park Open Air Theatre, from 16 July to 29 August 2015. 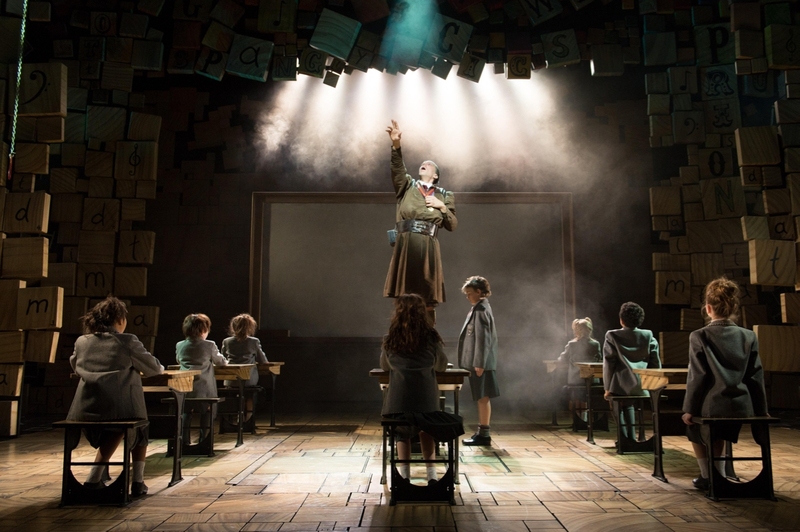 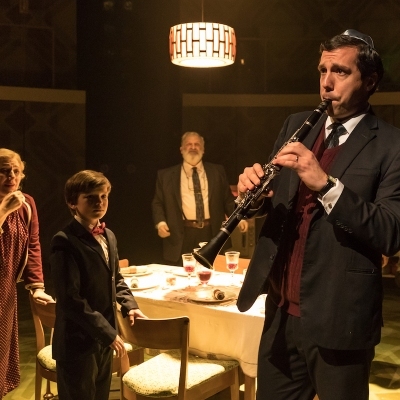 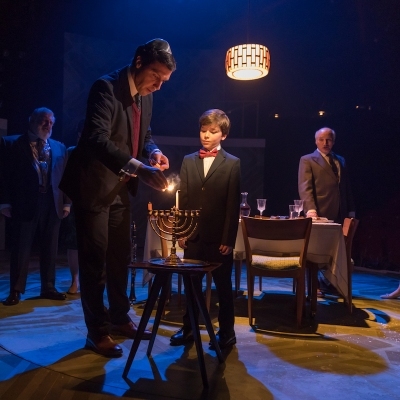 The production was nominated for 'Best Musical Revival' at the Olivier Awards 2016. 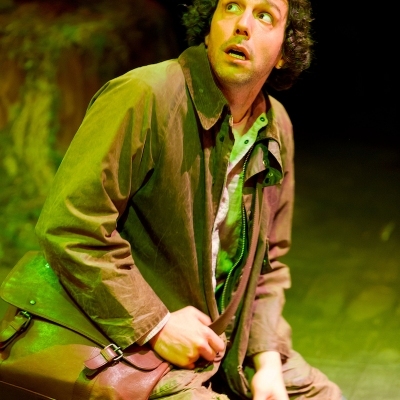 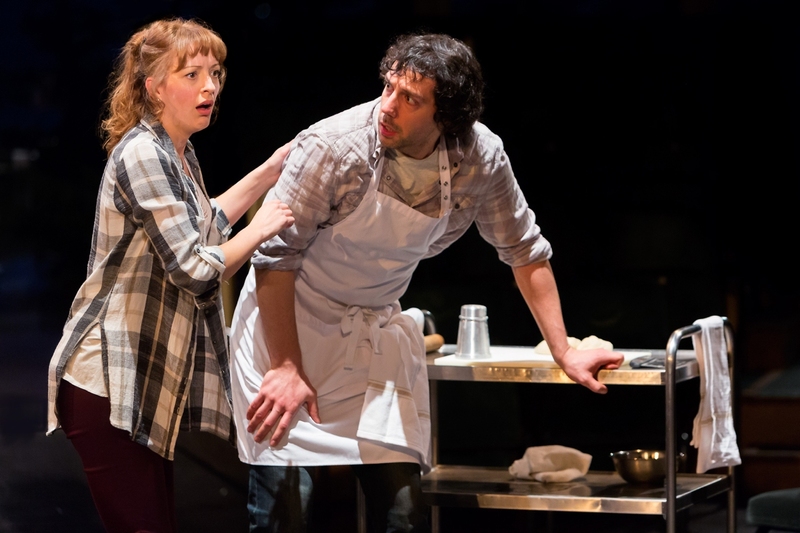 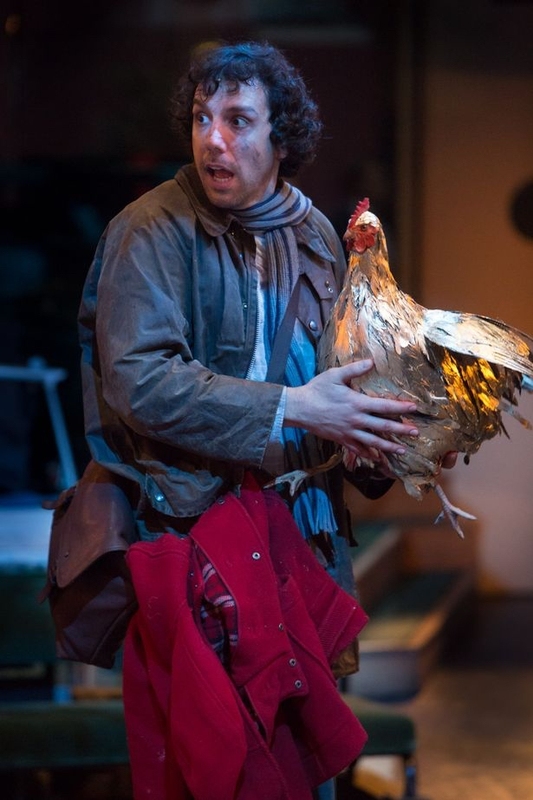 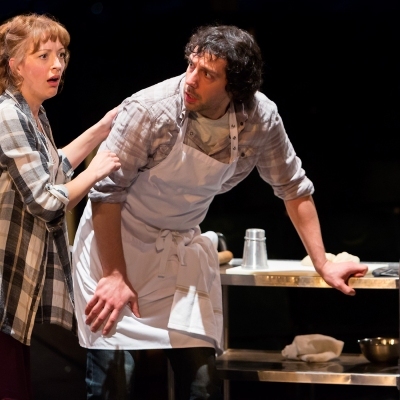 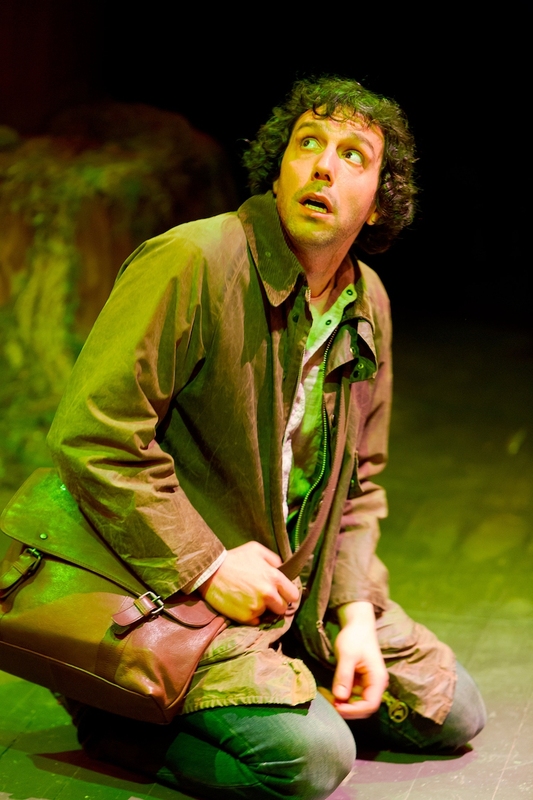 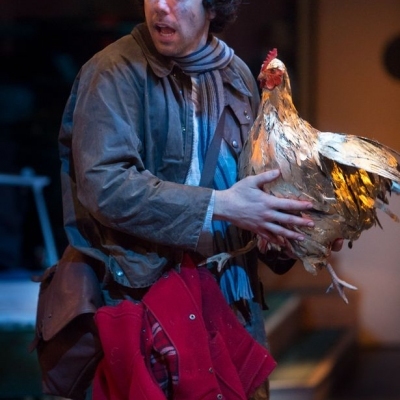 Alex then starred as the Baker in a new production of the Tony Award-winning Broadway musical Into the Woods at the Royal Exchange Theatre, Manchester, from 4 December 2015 to 16 January 2016, directed by Matthew Xia. 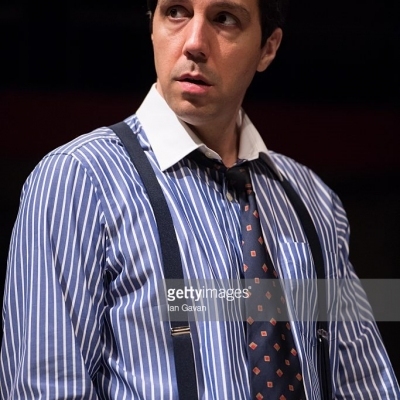 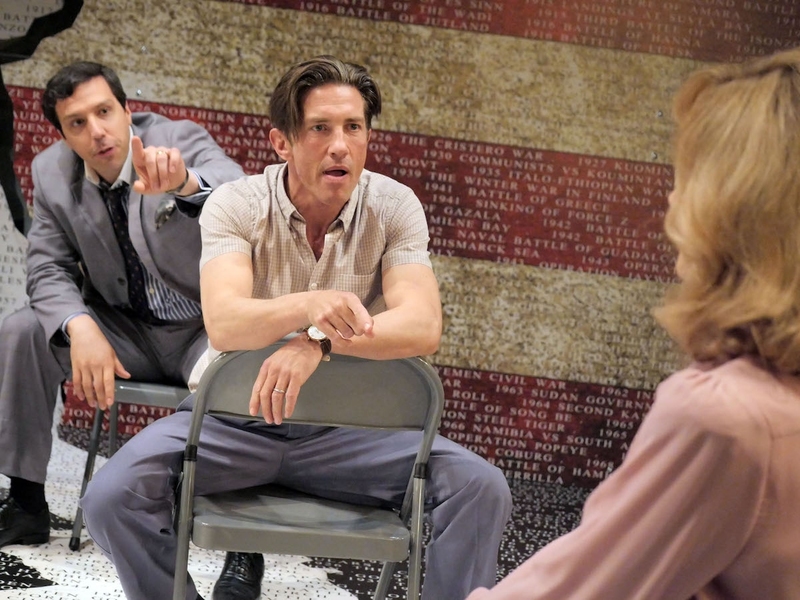 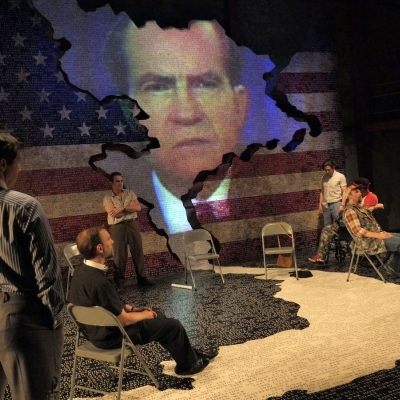 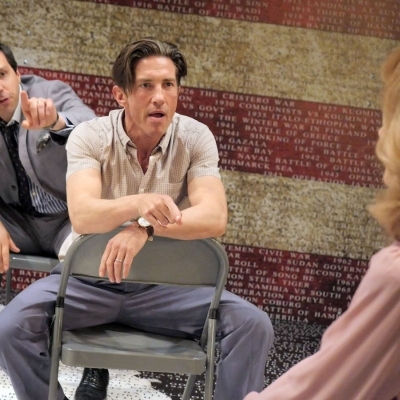 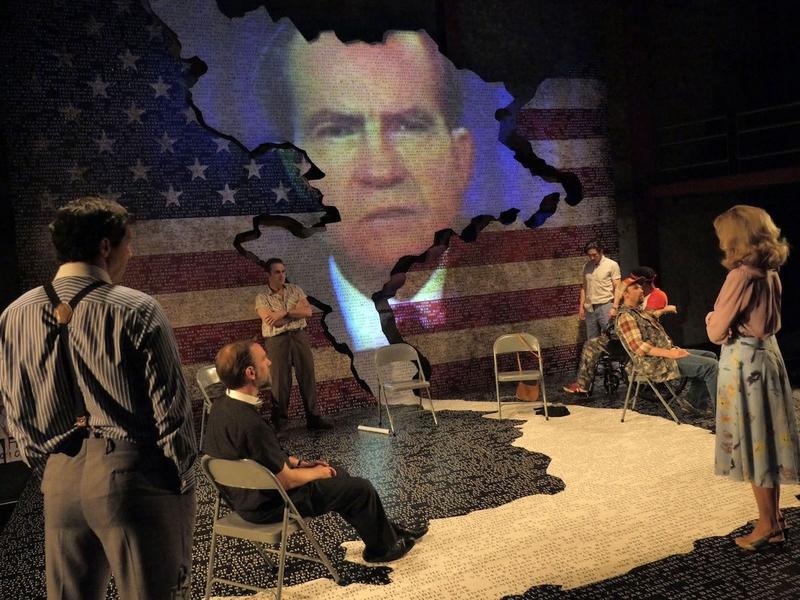 Alex's next London stage appearance was as Larry Bonk in The Trial of Jane Fonda at the Park Theatre, from 13 July to 20 August 2016. 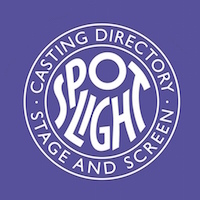 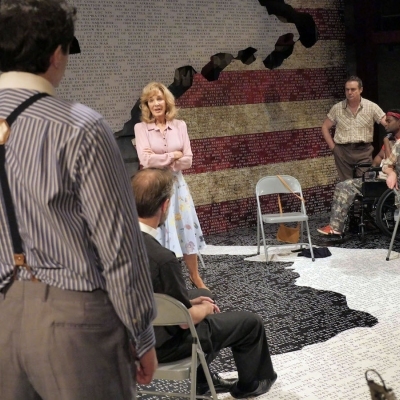 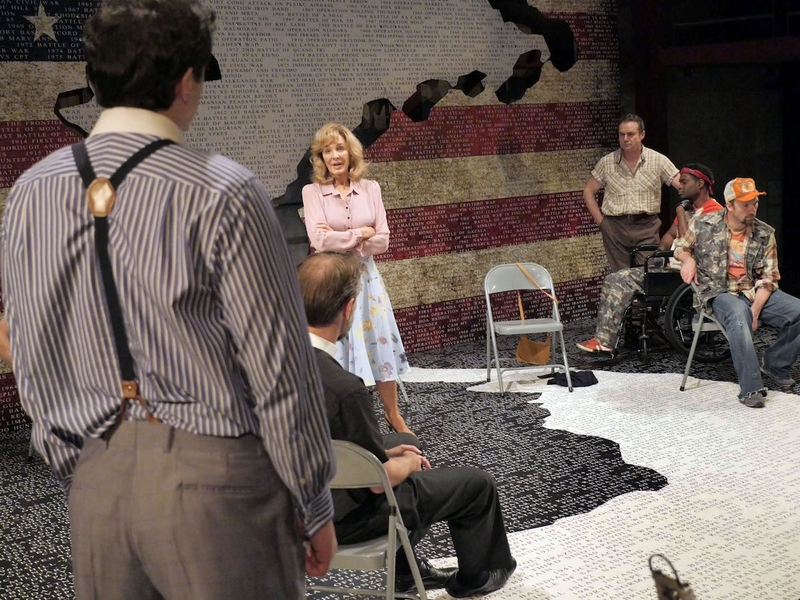 Directed by Joe Harmston, the new play starred Hollywood icon, Academy Award nominee and Golden Globe winner, Anne Archer (Fatal Attraction; Patriot Games; Clear and Present Danger) as Jane Fonda. 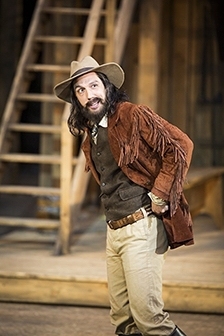 This also marked Alex's first major non-musical role in a play. 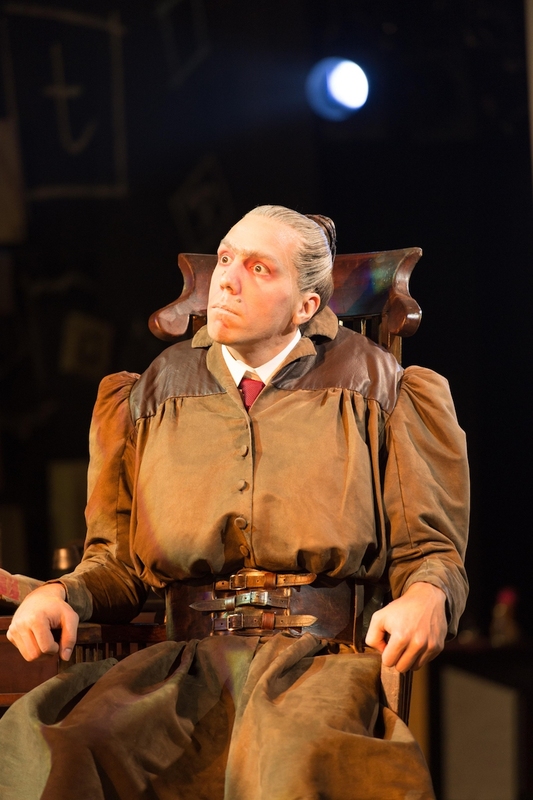 Alex then played Bob Cratchit in a one-off concert version of the Broadway hit A Christmas Carol. 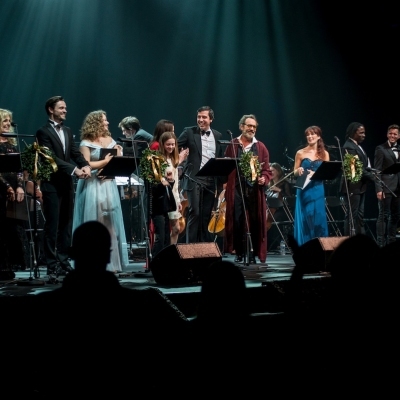 With music by Alan Menken and lyrics by Lynn Ahrens, the sold-out concert marked the musical's London premiere and played at the Lyceum Theatre on Monday 19th December 2016. 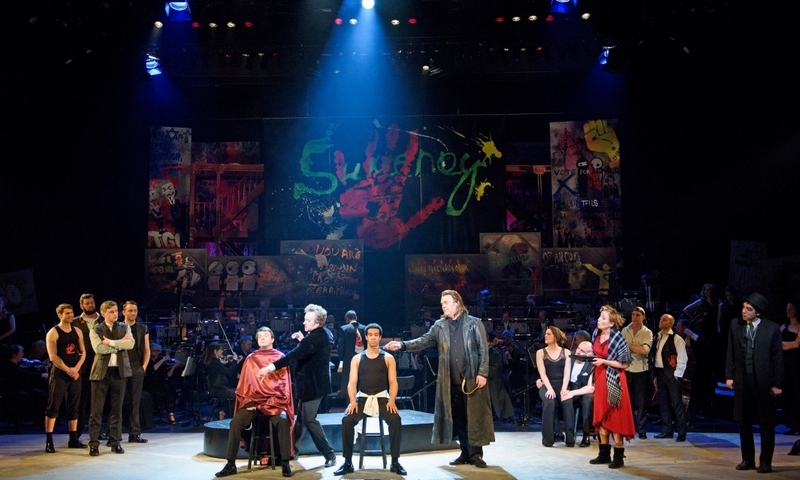 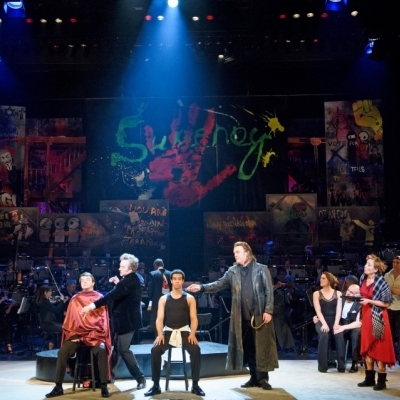 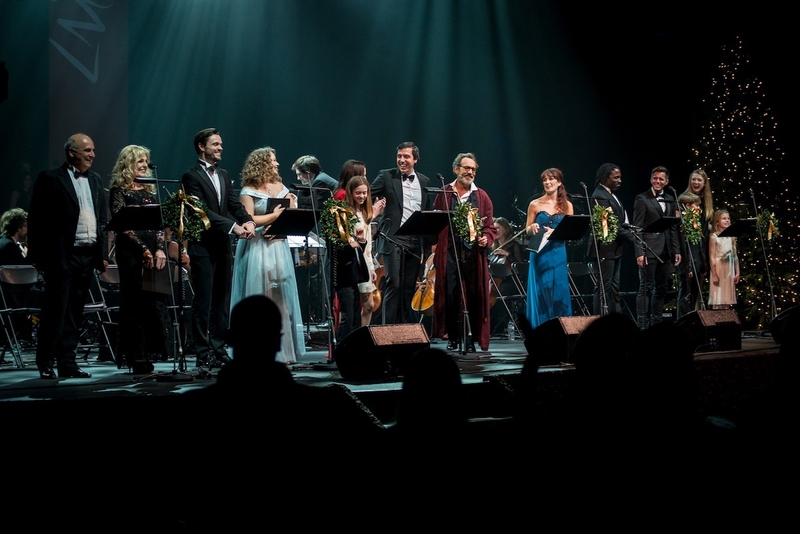 The London Musical Theatre Orchestra, formed of 32 musicians, performed the fully orchestrated score with a chorus and West End cast, starring Robert Lindsay as Scrooge. 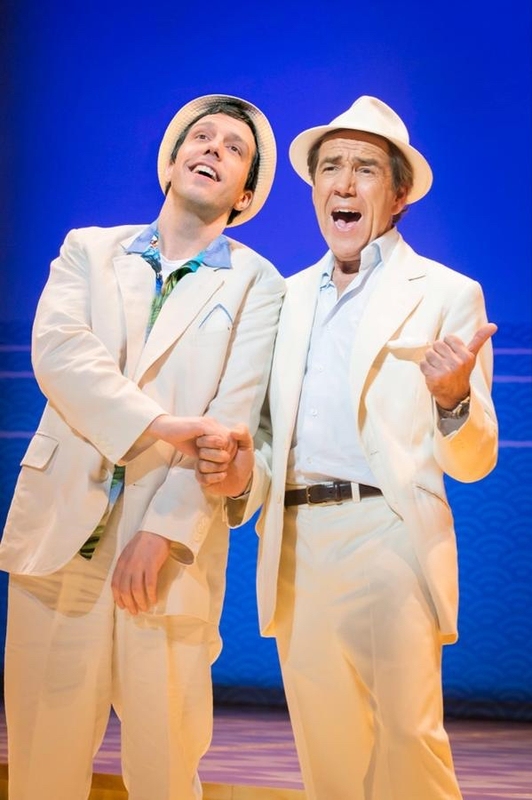 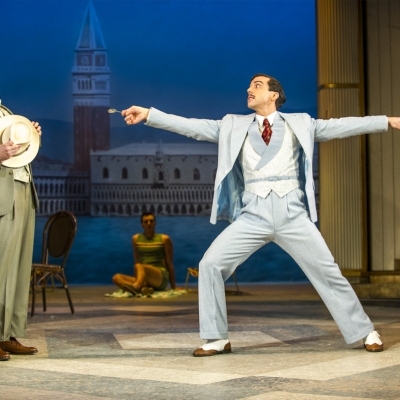 Alex and Robert had previously worked together in Dirty Rotten Scoundrels. 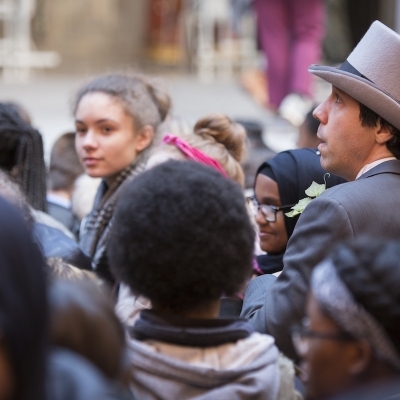 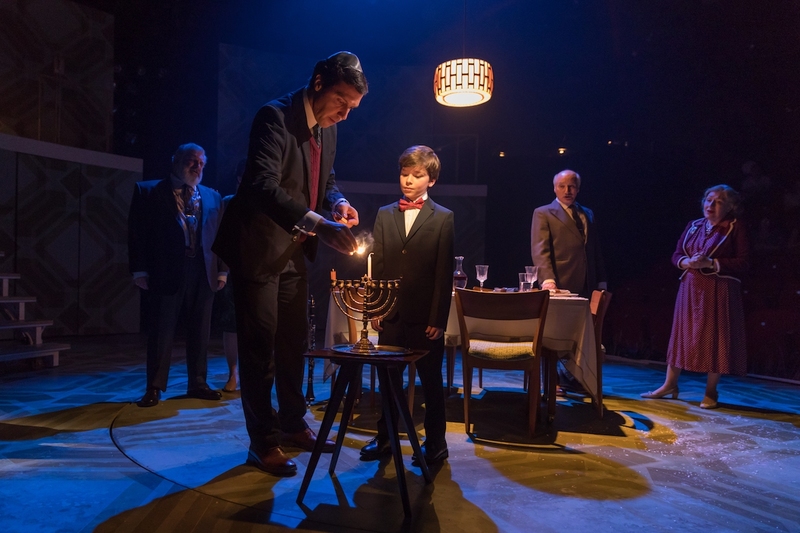 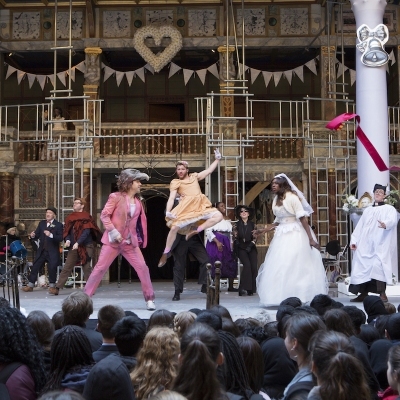 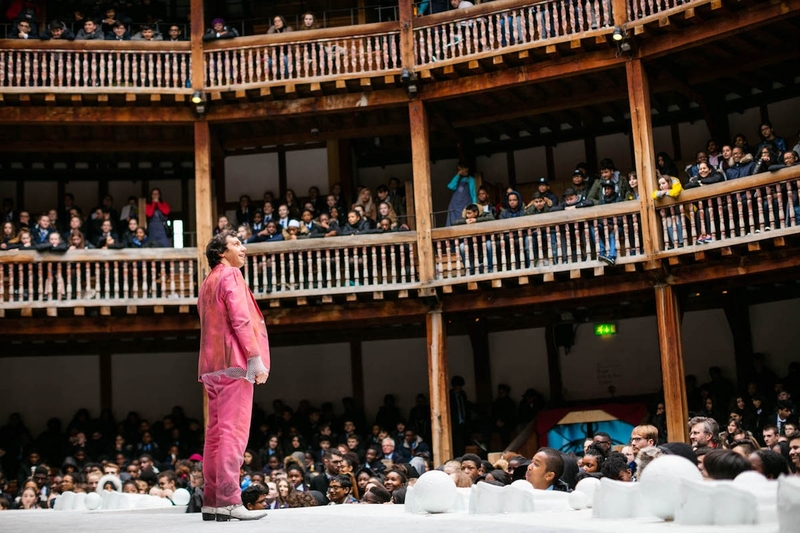 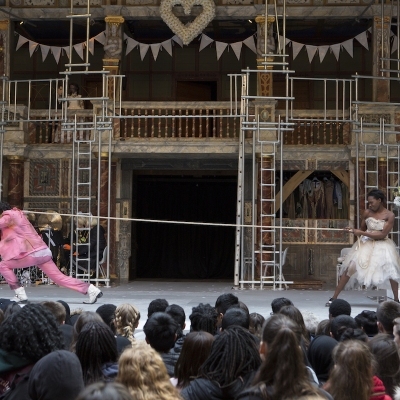 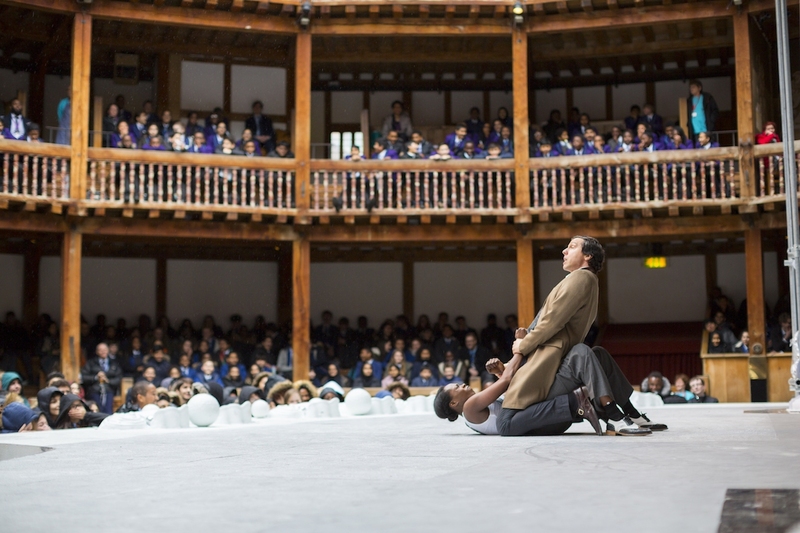 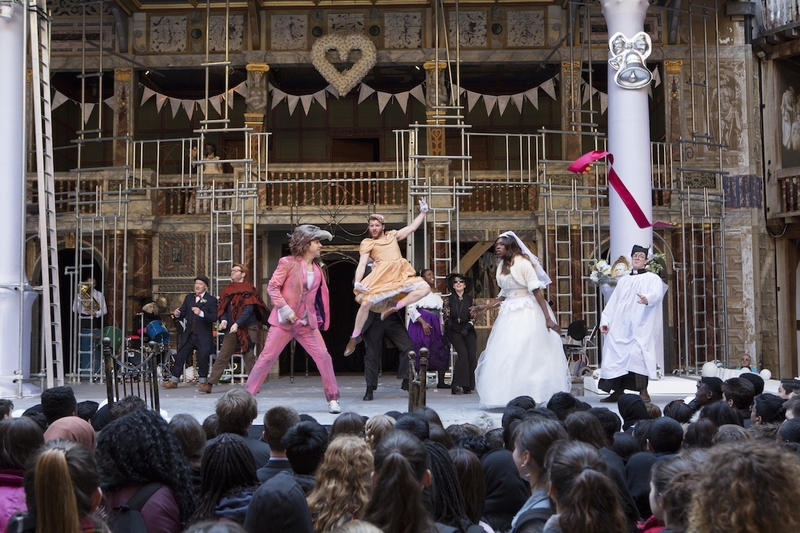 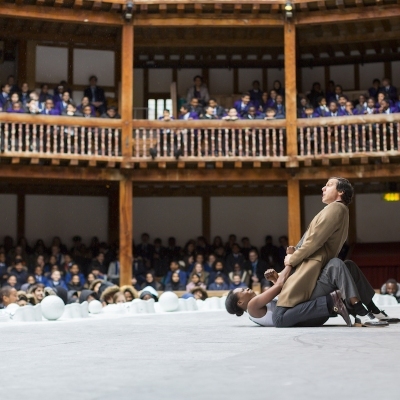 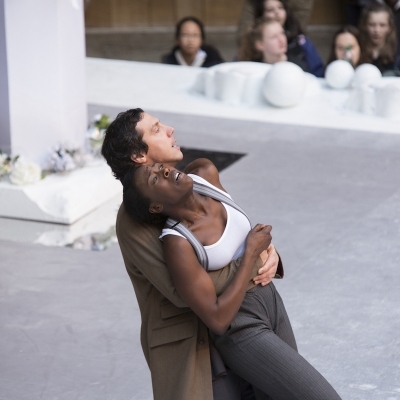 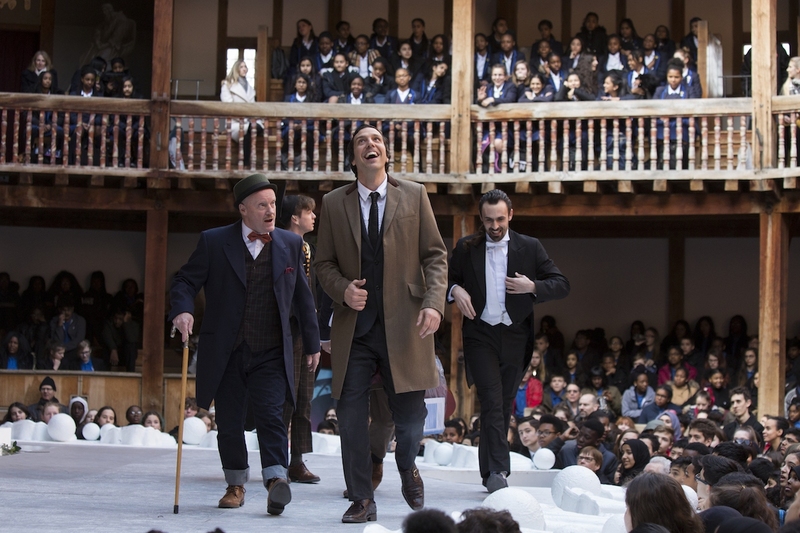 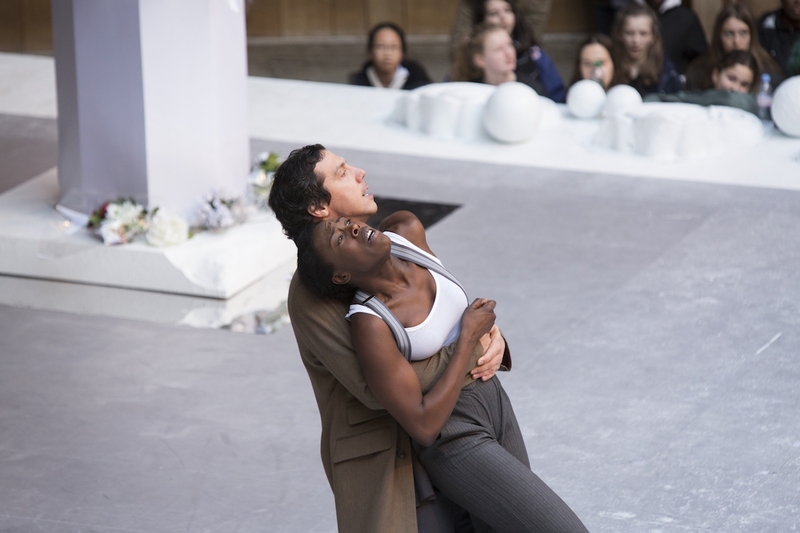 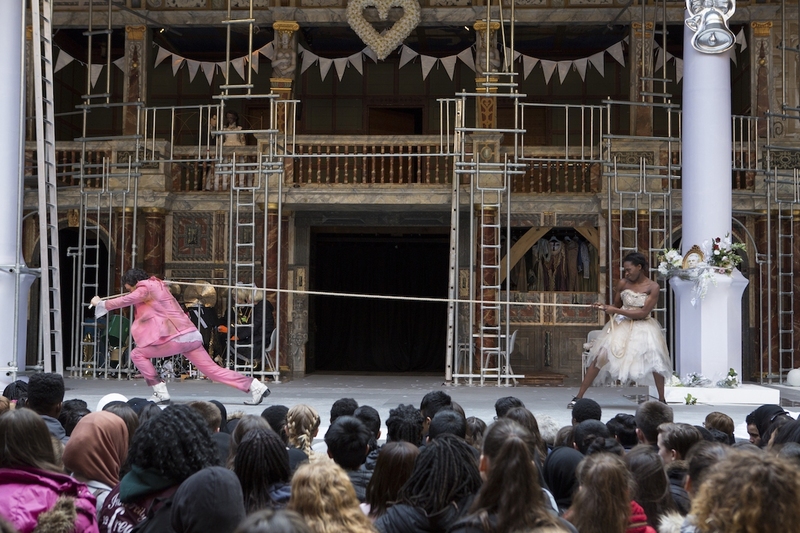 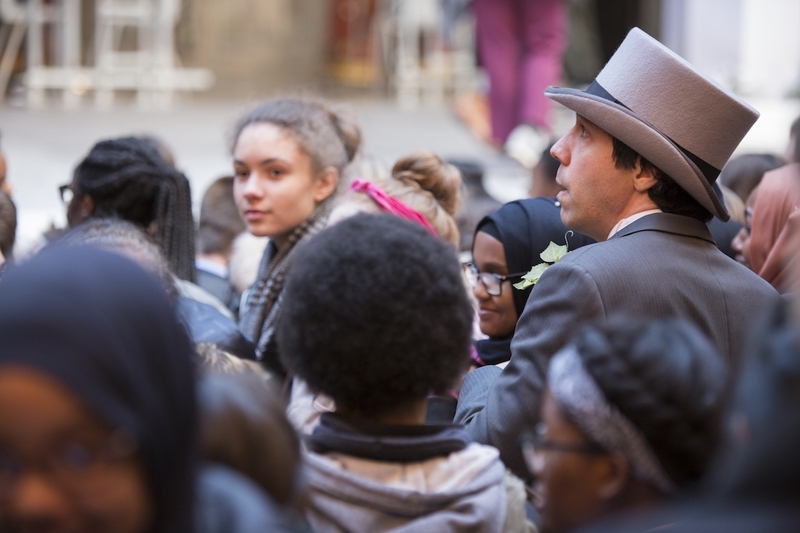 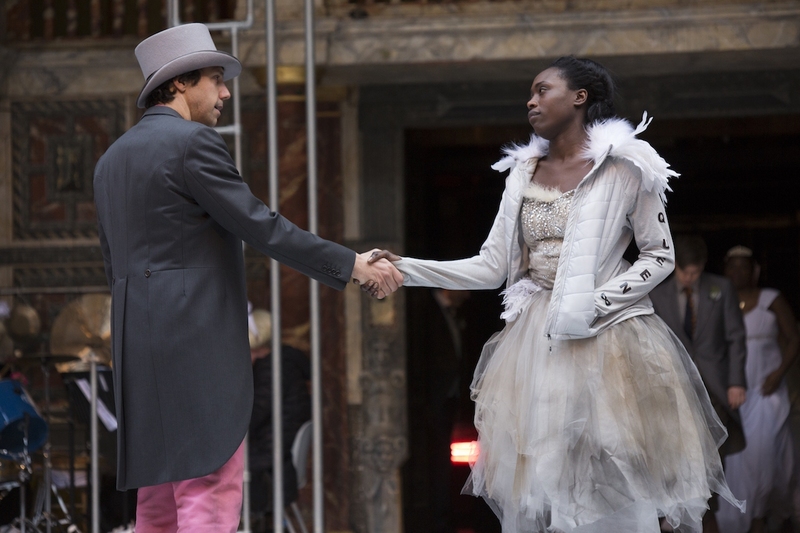 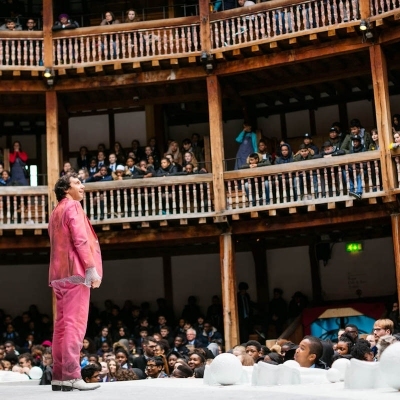 2017 marked Alex's debut in a Shakespeare play at the world-renowned Globe Theatre. 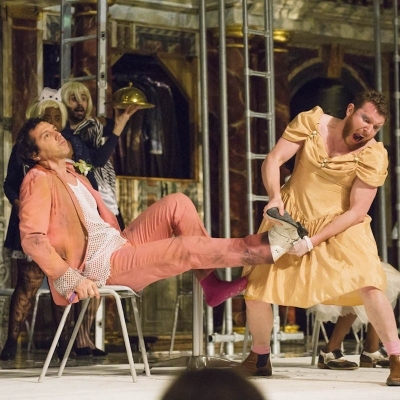 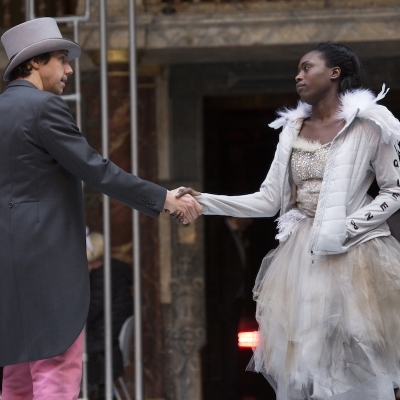 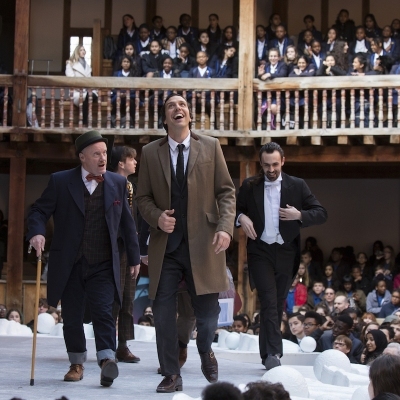 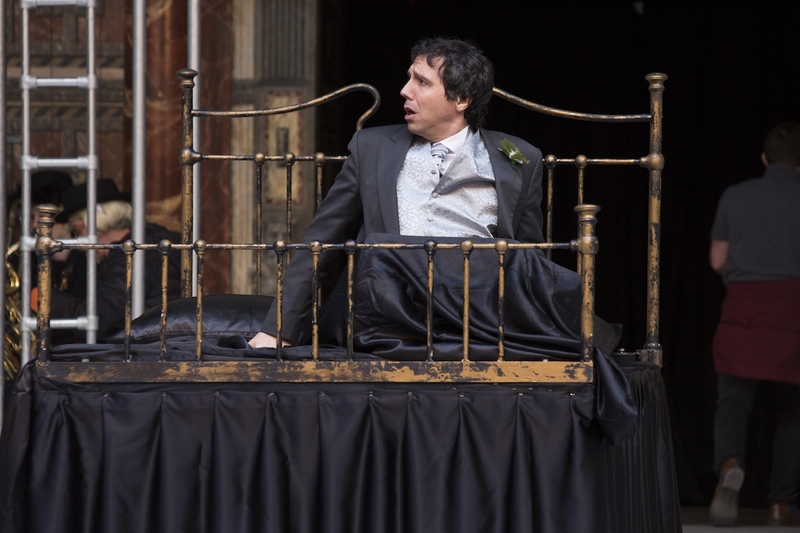 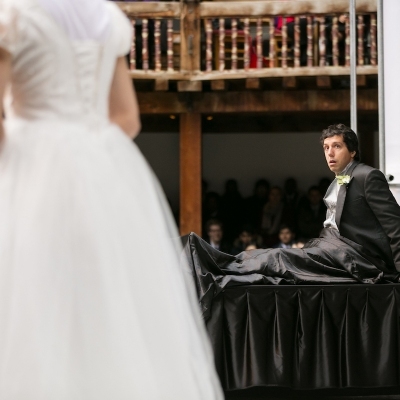 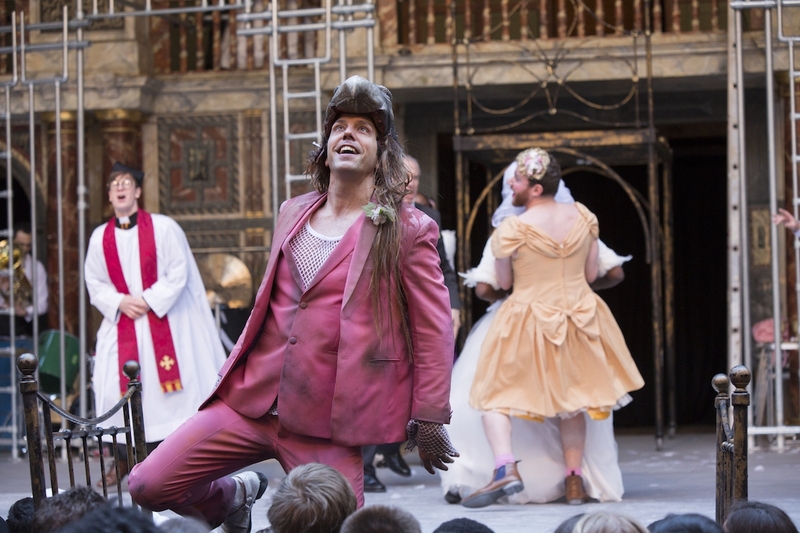 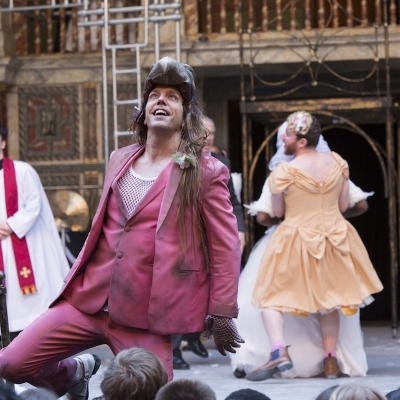 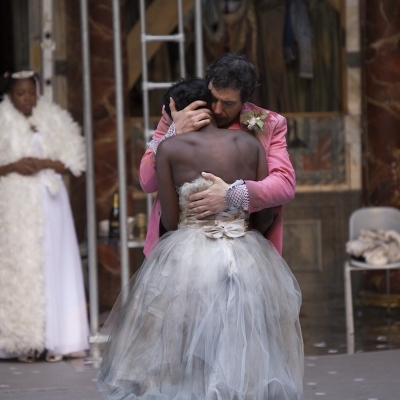 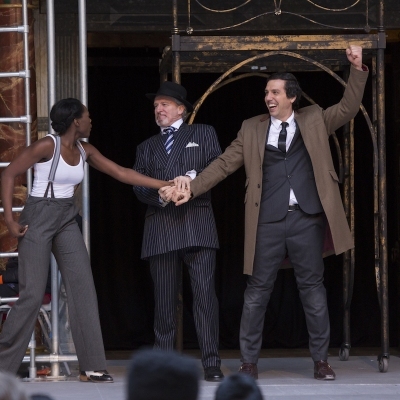 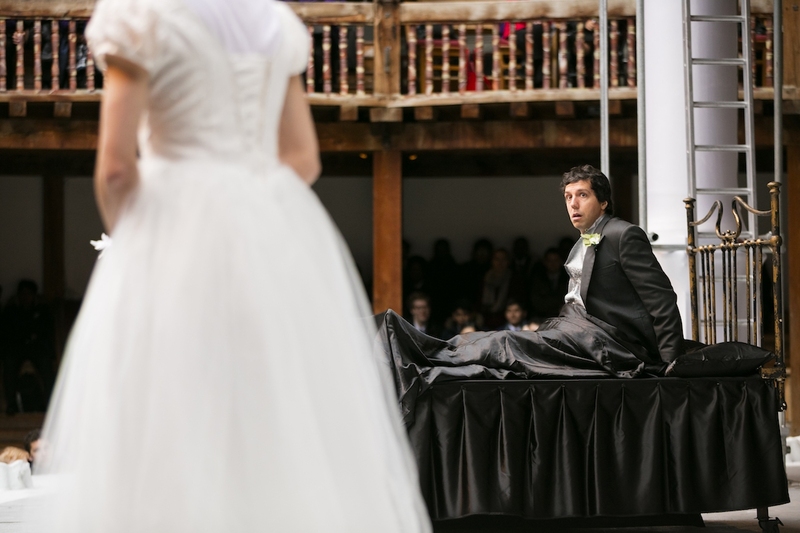 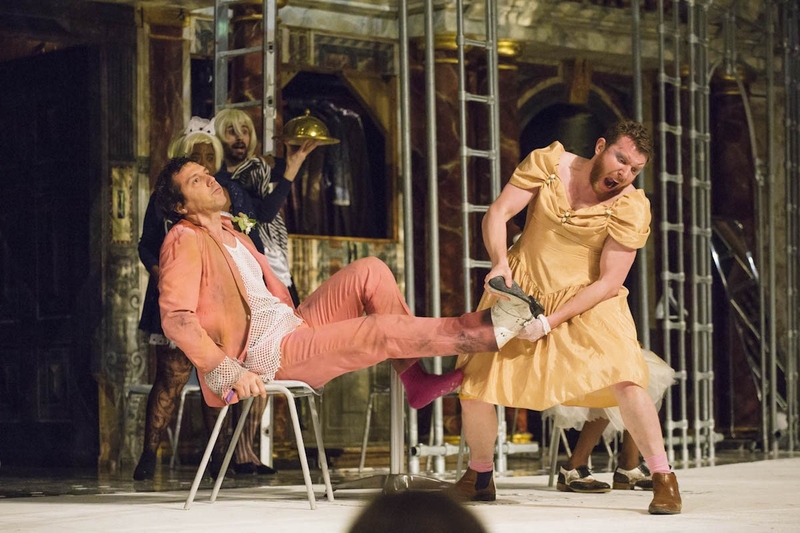 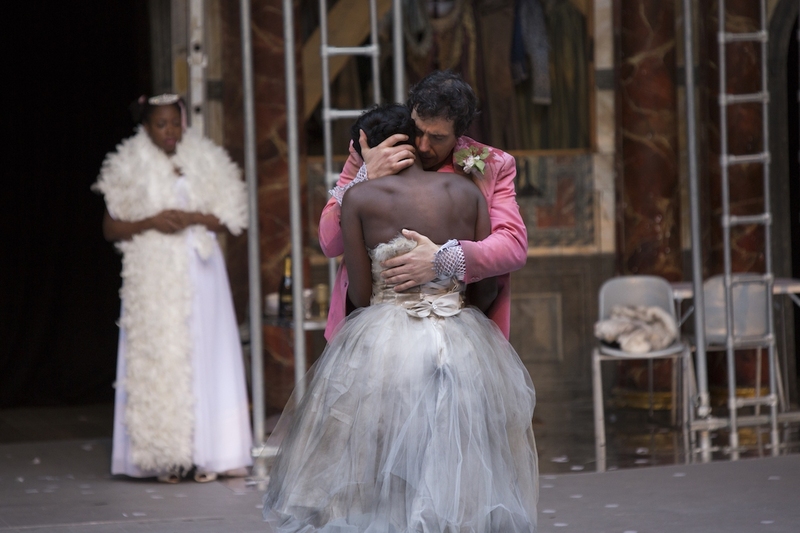 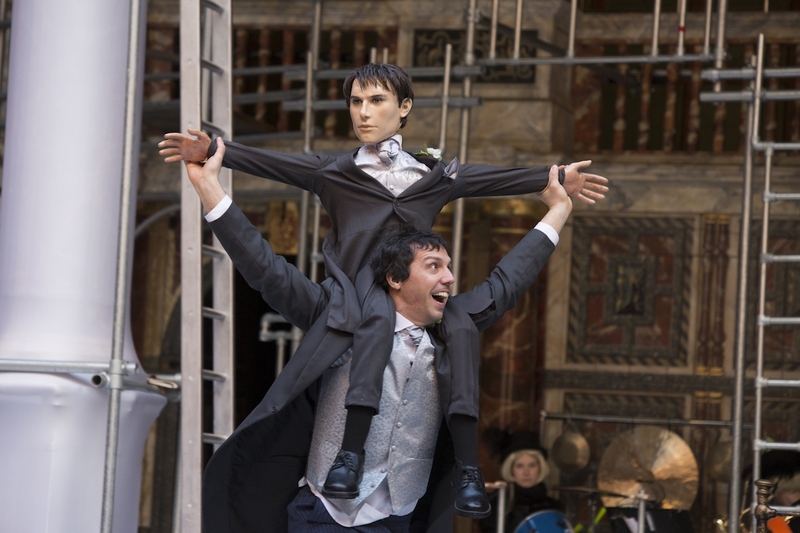 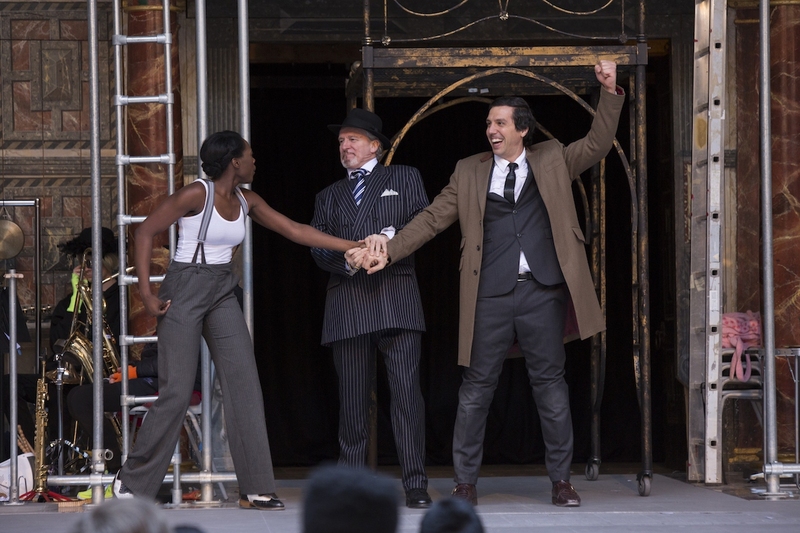 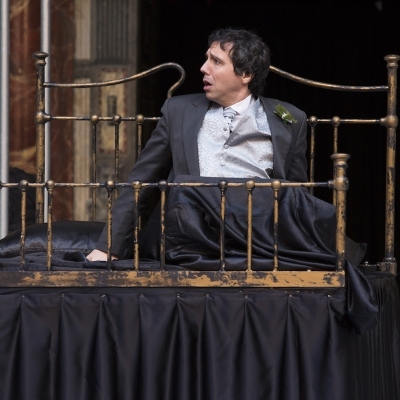 He played Petruchio in The Taming Of The Shrew at Shakespeare's Globe from 28 February to 25 March 2017. 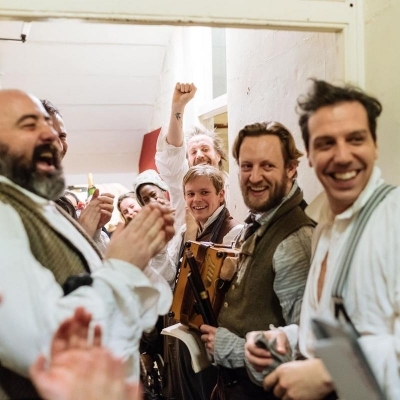 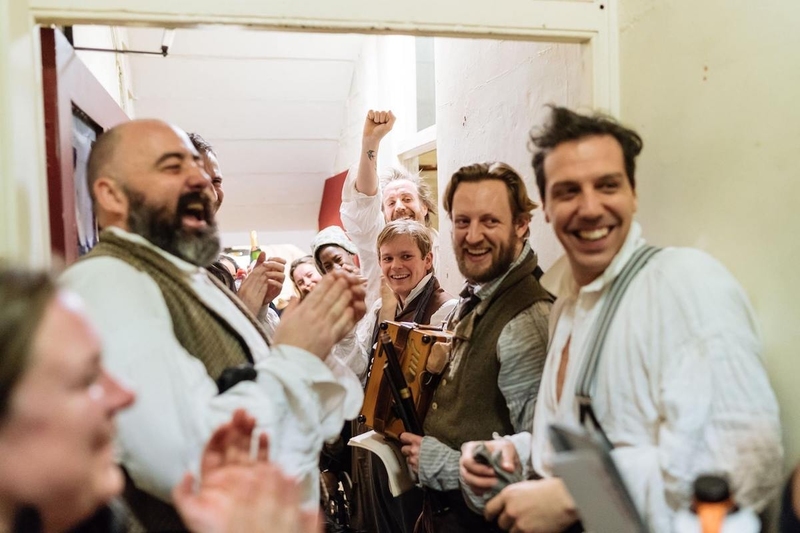 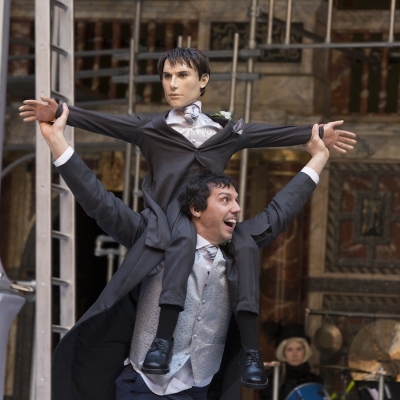 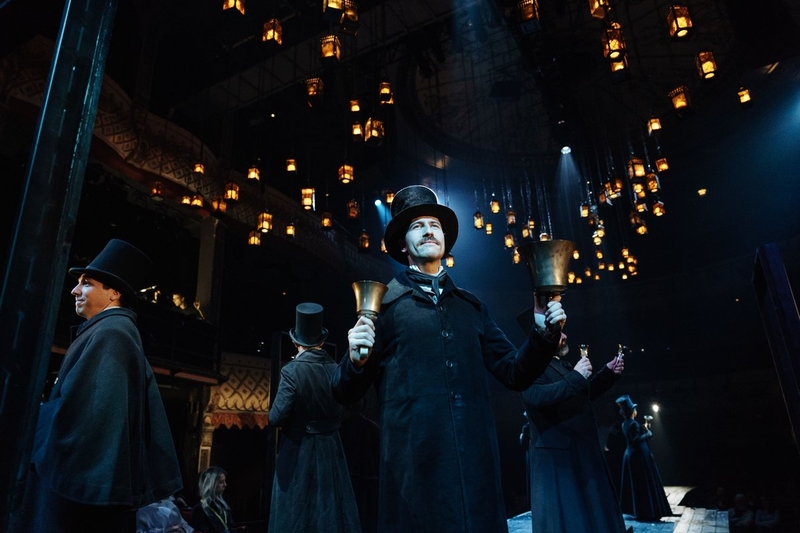 During his run at the Globe, it was announced that Alex would next appear as Stuart Gellman in Caroline, or Change at Chichester Festival Theatre. 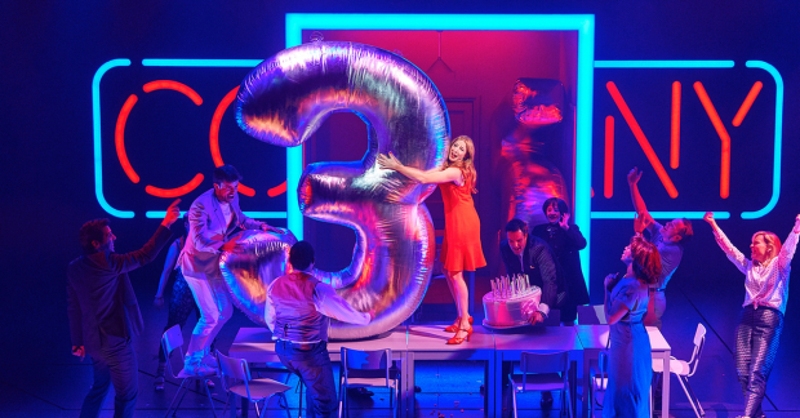 The new production of the Olivier Award-winning musical was the first musical in the inaugural season of CFT's new Artistic Director, Daniel Evans. 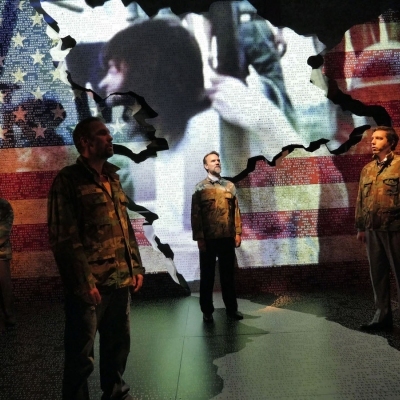 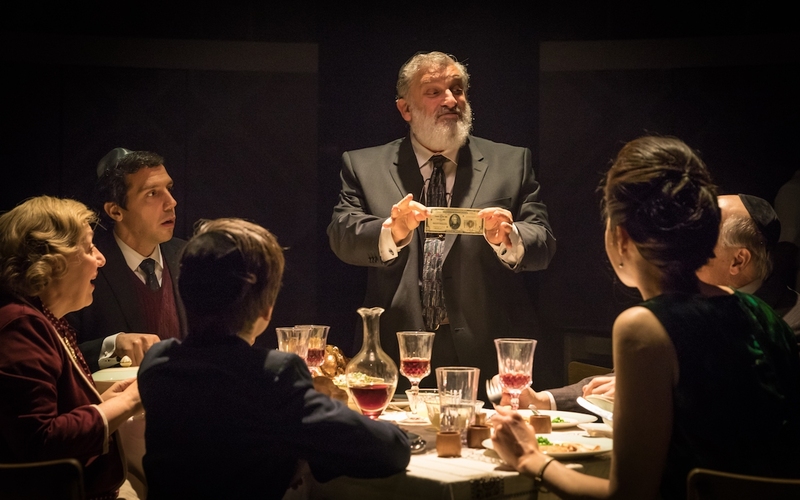 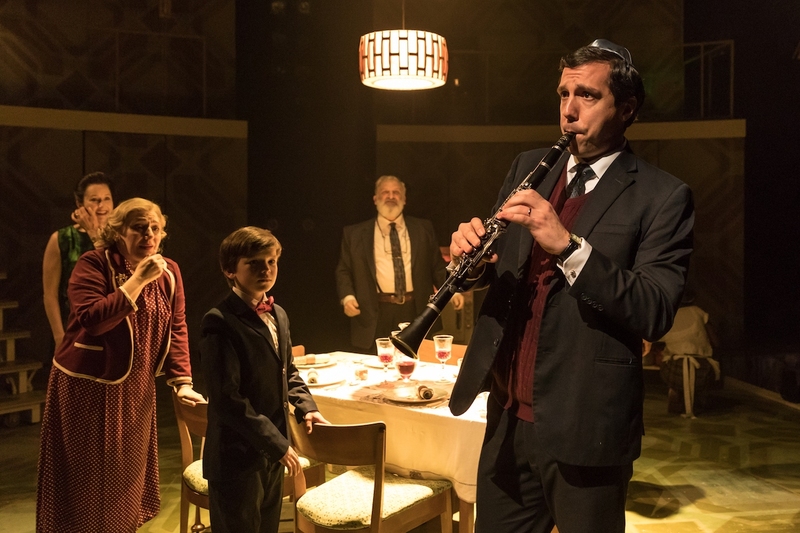 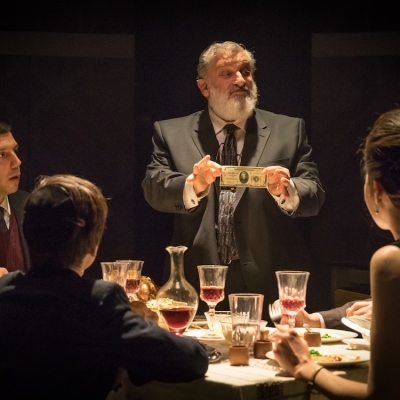 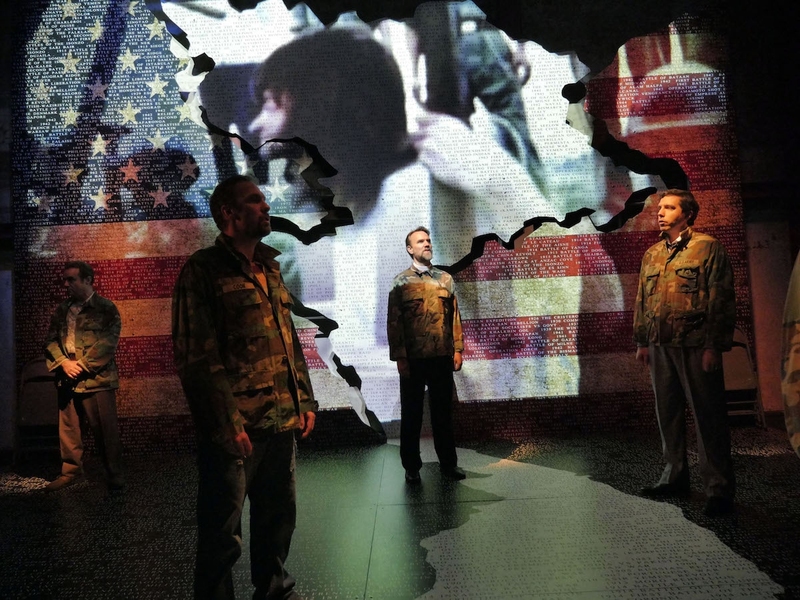 Directed by Michael Longhurst, the show played at the Minerva Theatre, Chichester from 6 May to 3 June 2017, was the fastest selling production in CFT's history and received high critical acclaim. 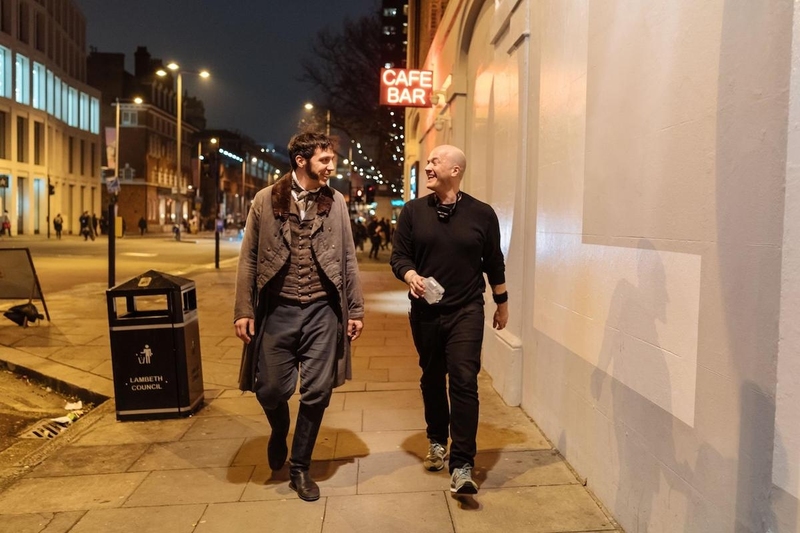 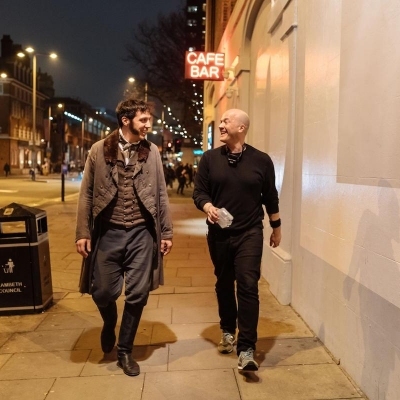 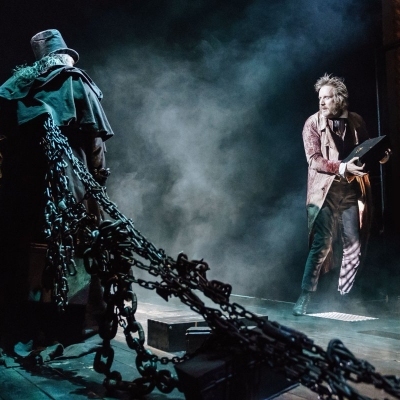 Alex's next London stage appearance was as Father/Marley in Jack Thorne's new adaptation of A Christmas Carol, playing at the Old Vic Theatre from 18 Nov 2017 to 20 Jan 2018. 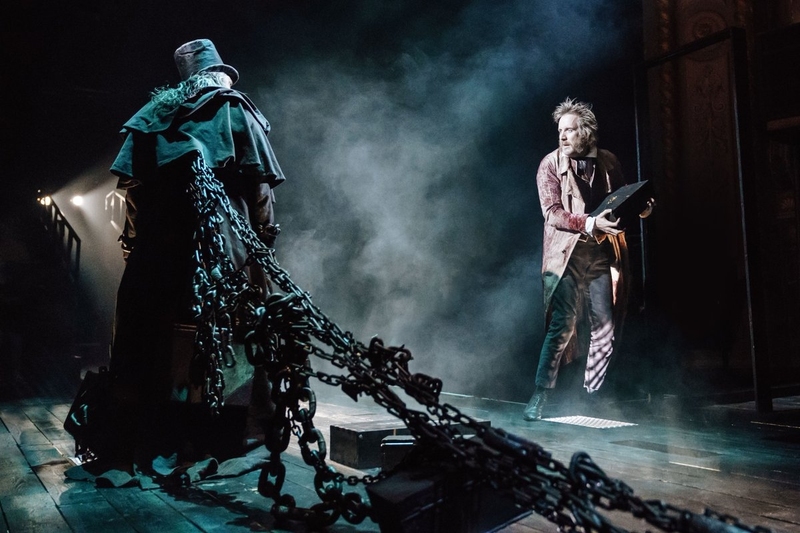 Directed by Matthew Warchus and starring Rhys Ifans as Ebenezer Scrooge, the world premiere production officially opened on 29 November 2017 to very positive reviews. 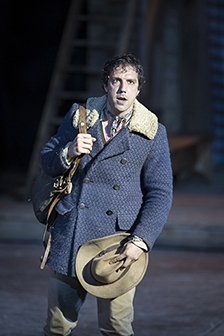 The adaptation was published by Nick Hern Books. 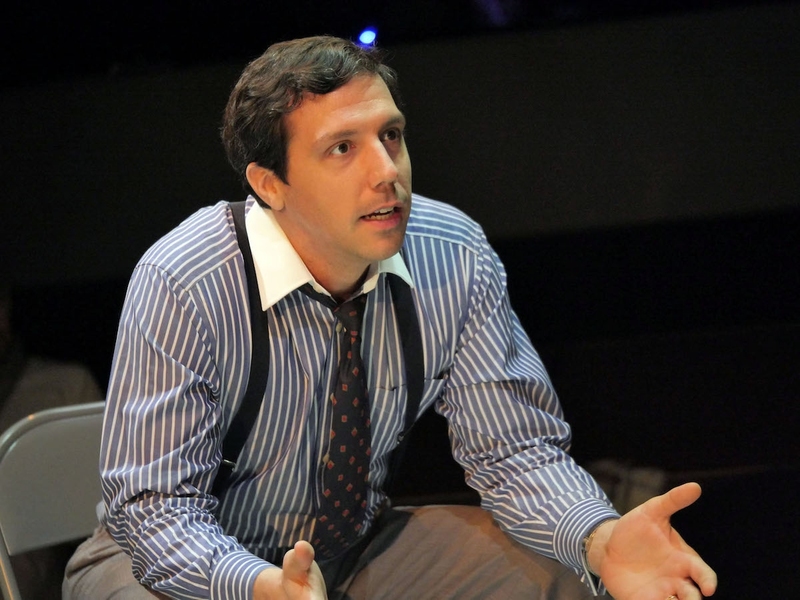 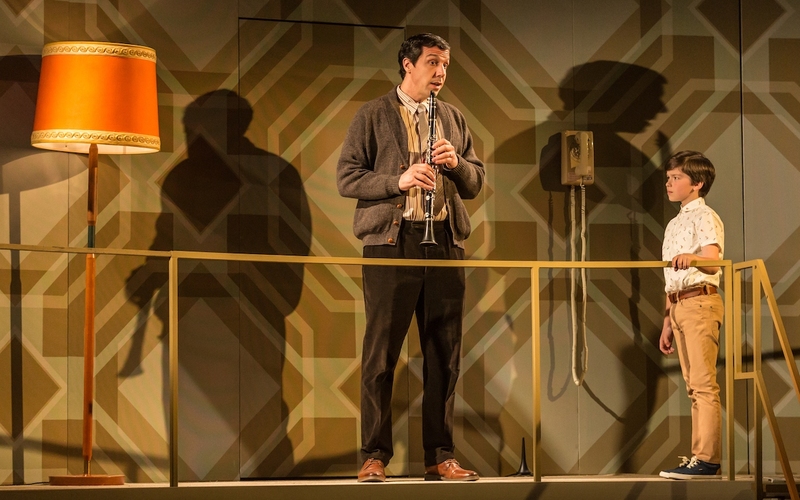 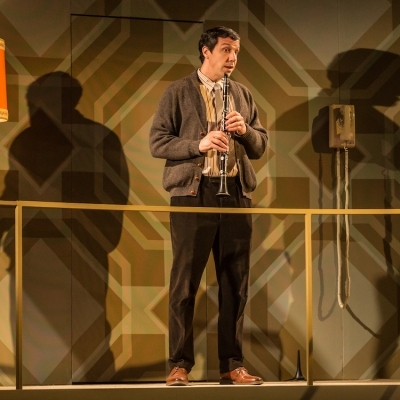 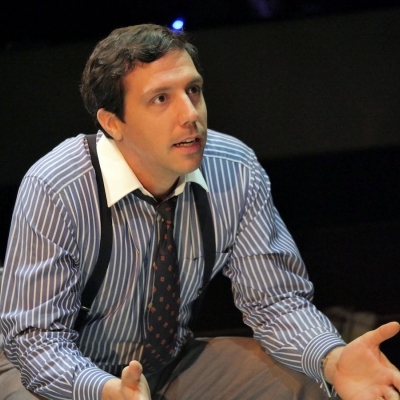 Alex then appeared as Paul in Marianne Elliott's new production of George Furth and Stephen Sondheim's Company. 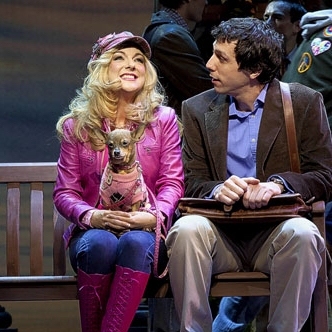 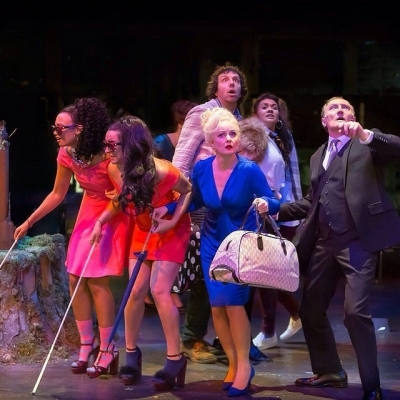 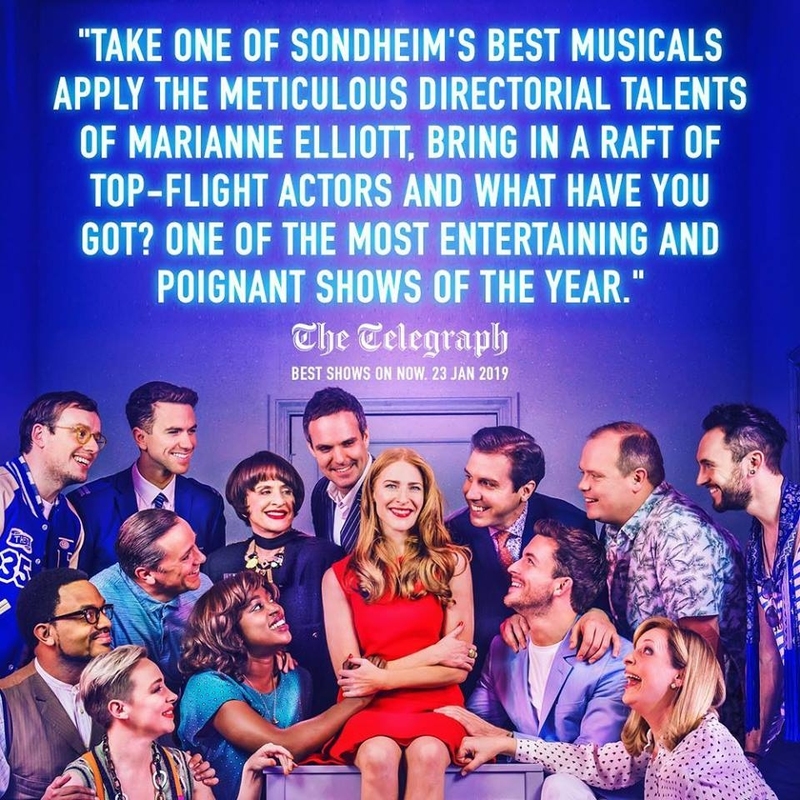 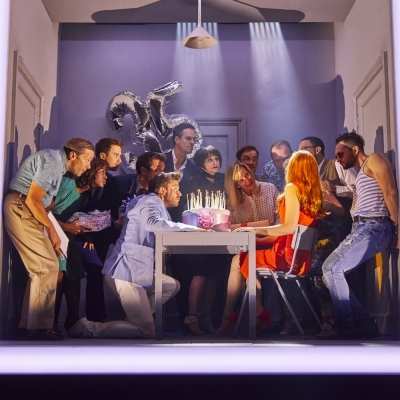 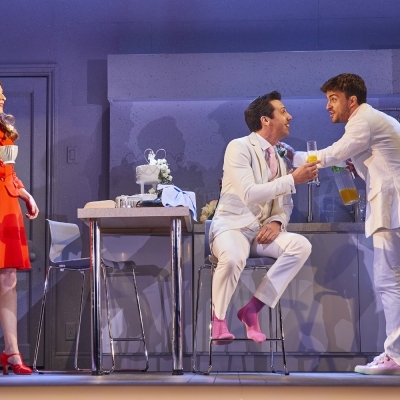 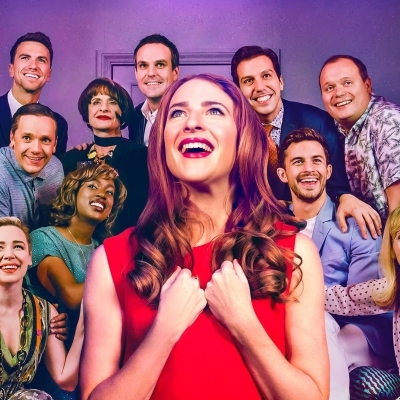 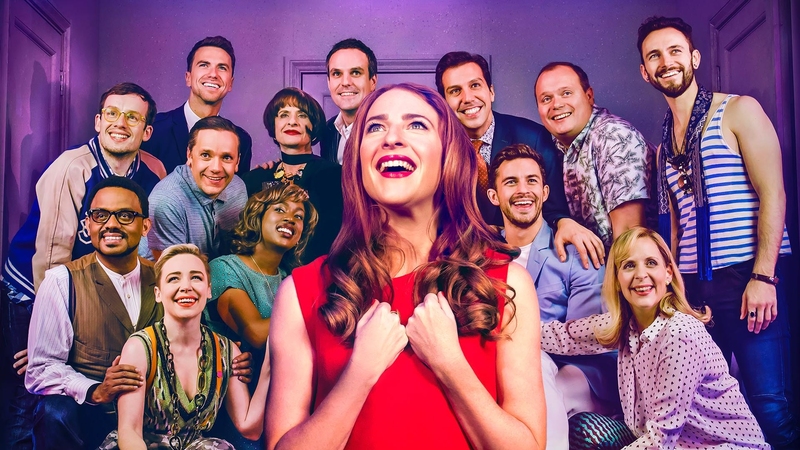 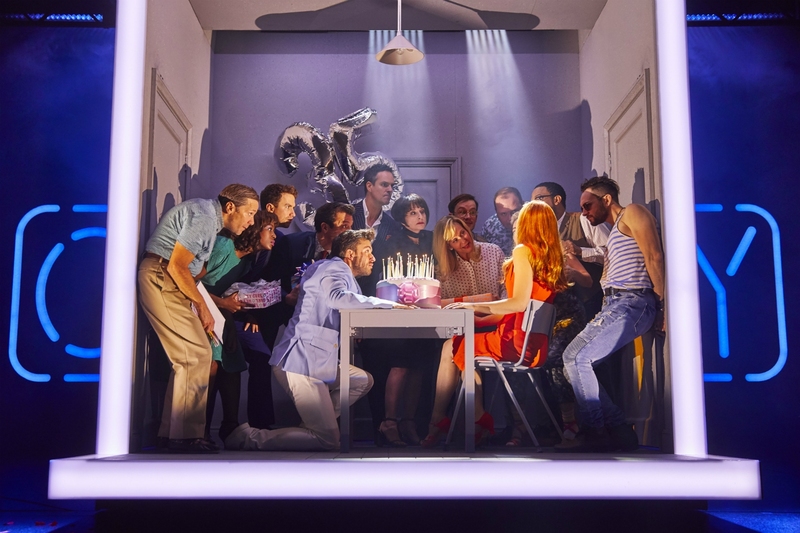 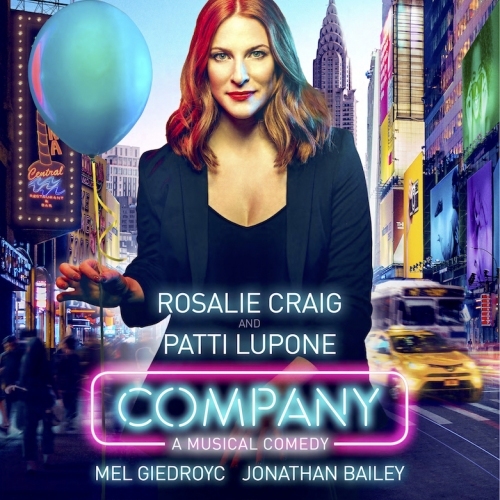 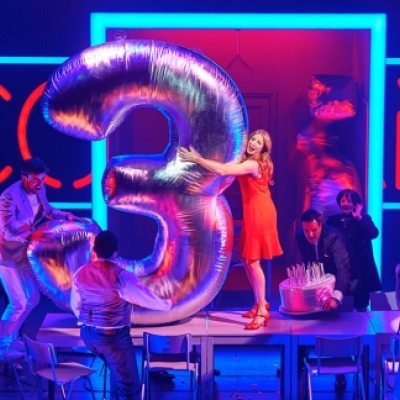 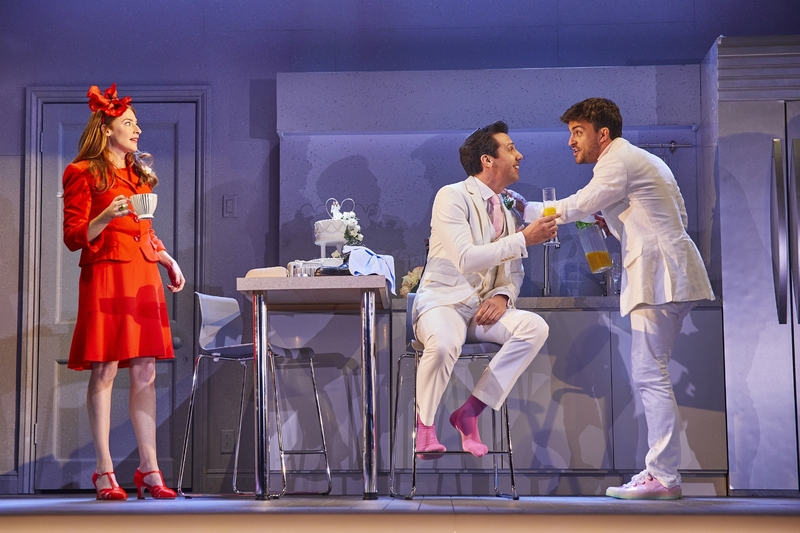 The critically acclaimed production played at the Gielgud Theatre from 26 September 2018 to 30th March 2019 and included several changes to the script, including a series of gender swaps to most of the leading roles, notably the central character of Bobby turned into the female protagonist Bobbie. 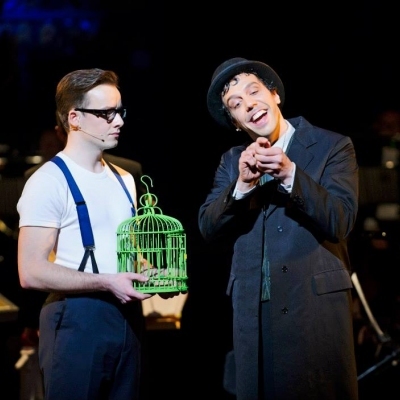 A Cast Recording of this version was produced by Warner music and the new script was published by Nick Hern Books. 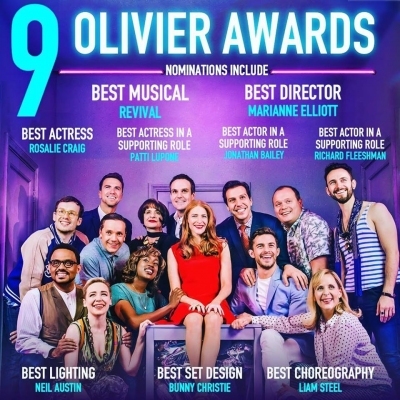 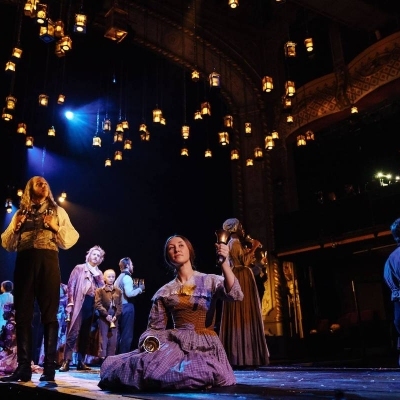 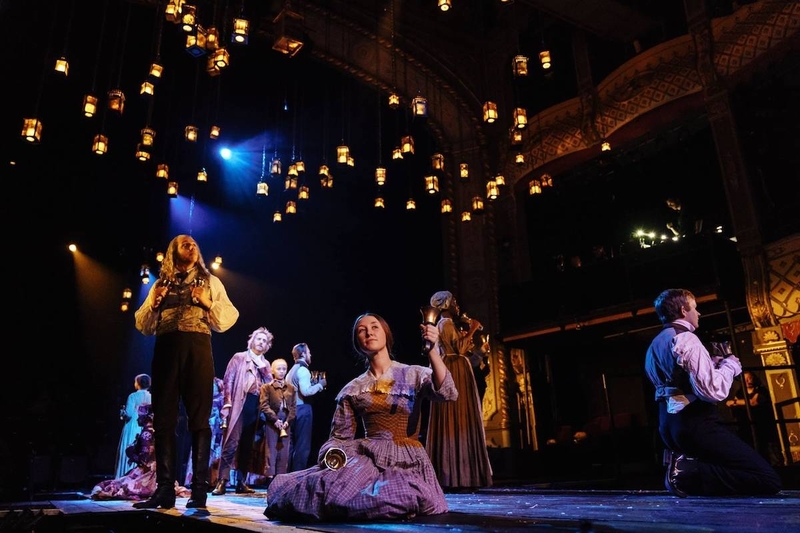 The production was nominated for 9 Olivier Awards, including Best Musical Revival and Best Director. 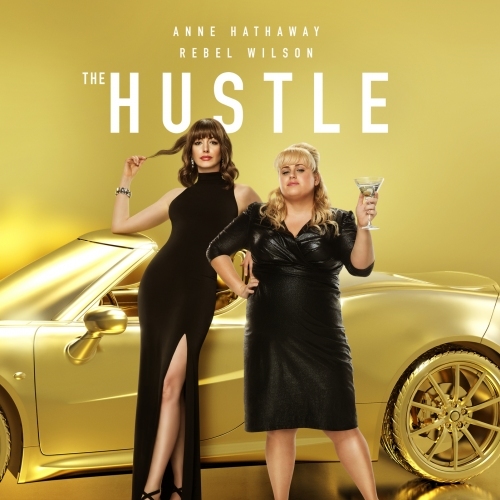 Alex can soon be seen in MGM movie THE HUSTLE, starring Anne Hathaway and Rebel Wilson. 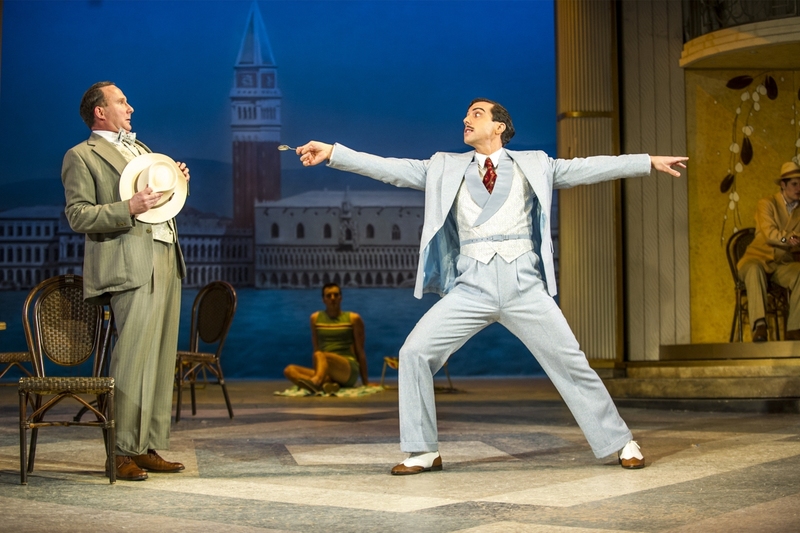 A gender-swap remake of the classic comedy Dirty Rotten Scoundrels, the movie will be released in cinemas on 10 May 2019. 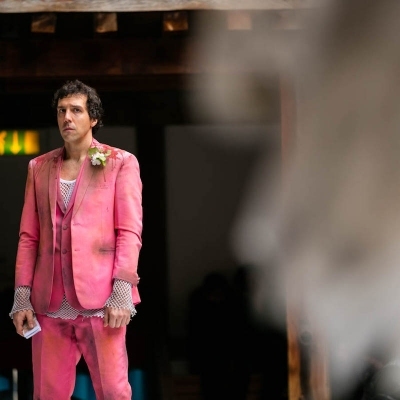 Click here to watch the trailer, which features Alex. 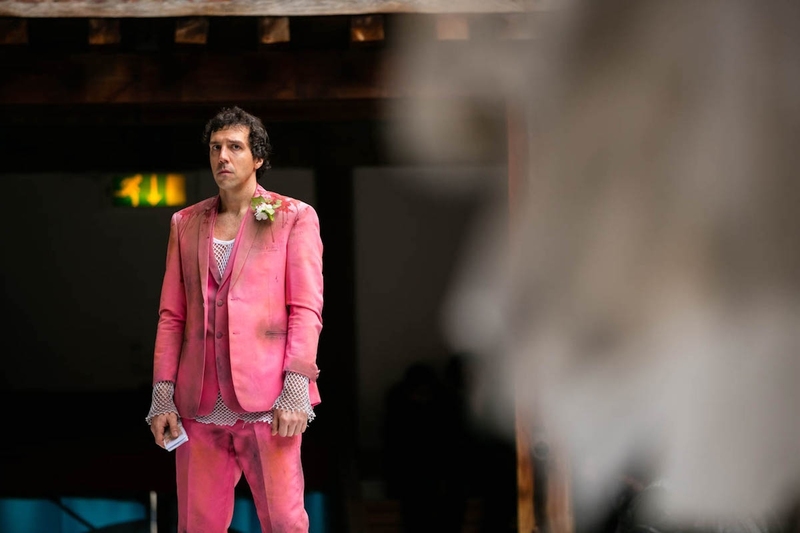 Alex can now be seen in HBO movie MY DINNER WITH HERVÉ, showing on HBO and Sky Atlantic, and available on Catch Up TV. 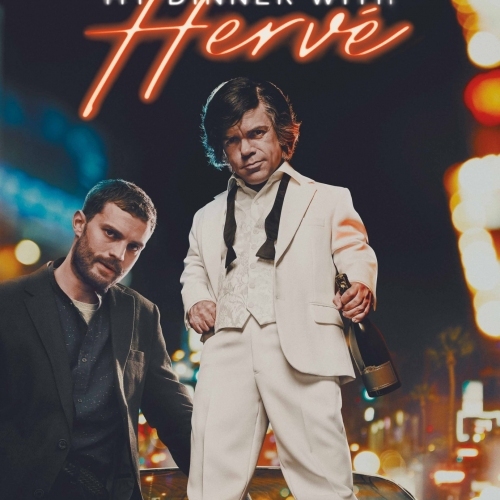 Starring Peter Dinklage (Game of Thrones) as Hervé Villechaize, Alex plays his father. 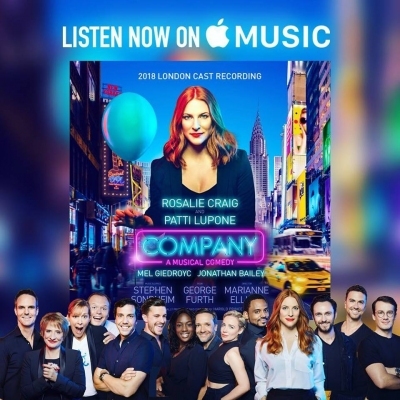 Alex will star as Paul in Marianne Elliott’s highly anticipated new production of George Furth and Stephen Sondheim's COMPANY, which opens at the Gielgud Theatre from 26 September 2018. 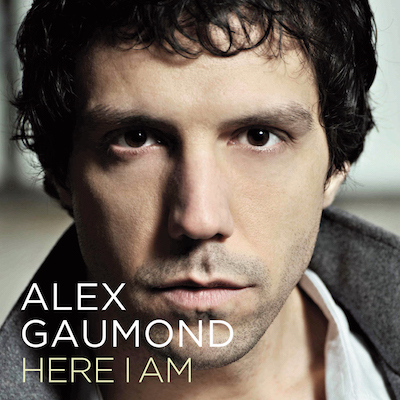 After an anticipated wait, Alex's first single Here I Am is now available worldwide from all download sites including iTunes. Produced by Ben Robbins and bringing a fresh angle to the original version by Bryan Adams, this track really showcases Alex's powerful vocals within a catchy, positive and uplifting groove. 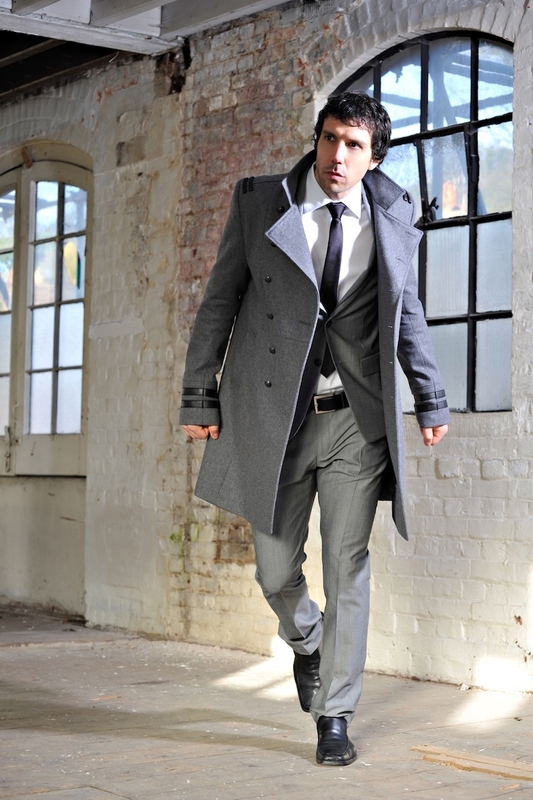 Click to download now and let Alex know what you think of his first single.